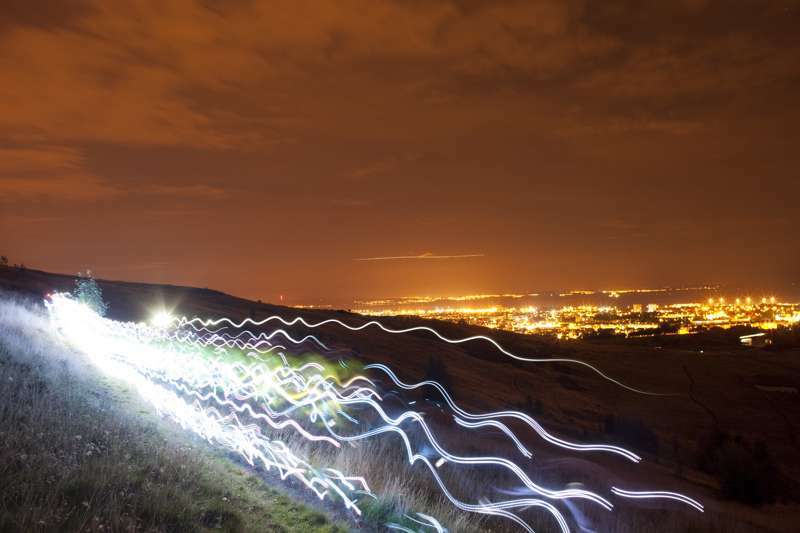 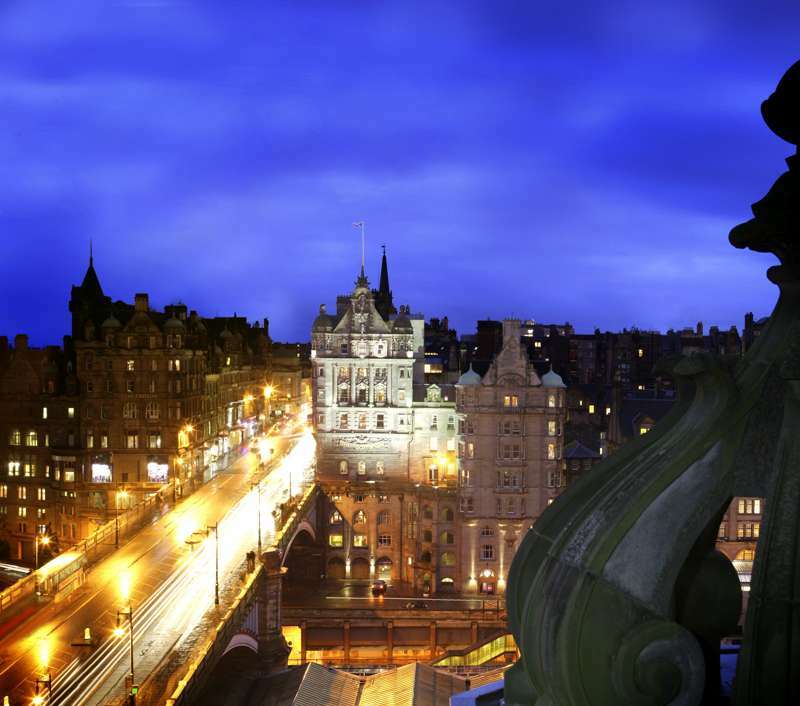 Rugged, intense and eye-catching, Edinburgh is one of Europe's most striking capital cities. 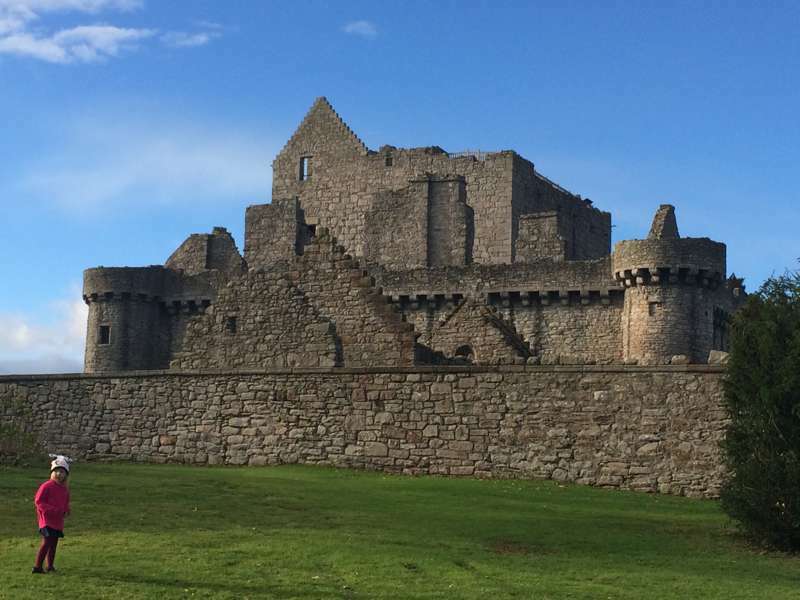 Gathered around its craggy central castle, the medieval core is a breathtaking warren of cobbled streets, towering spires, turbulent history and one or two striking modern buildings. 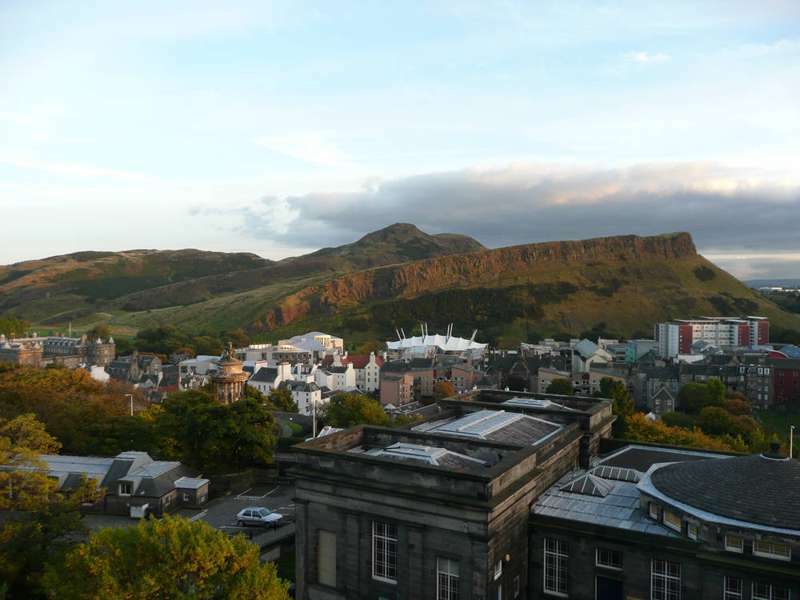 Only barely less central are museums and galleries of international importance, wild grassy moorland, dramatic viewpoints, huge Grecian edifices and effortlessly elegant Georgian streets. 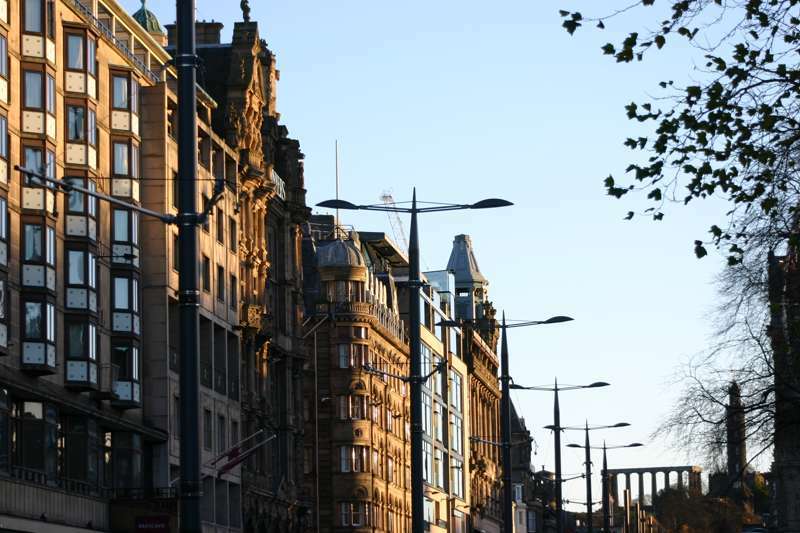 It’s a handsome, memorable city, despite being home to less than half-a-million people, with a cultured, contemporary vibe that peaks during August's annual Festival. 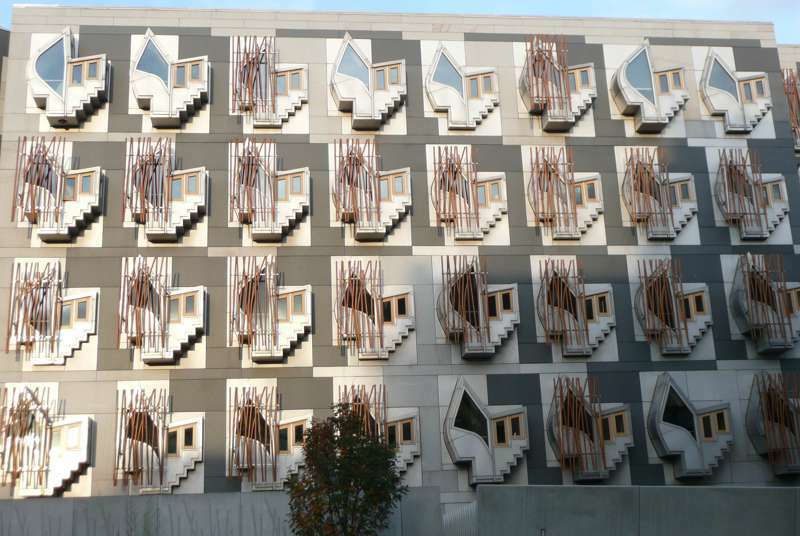 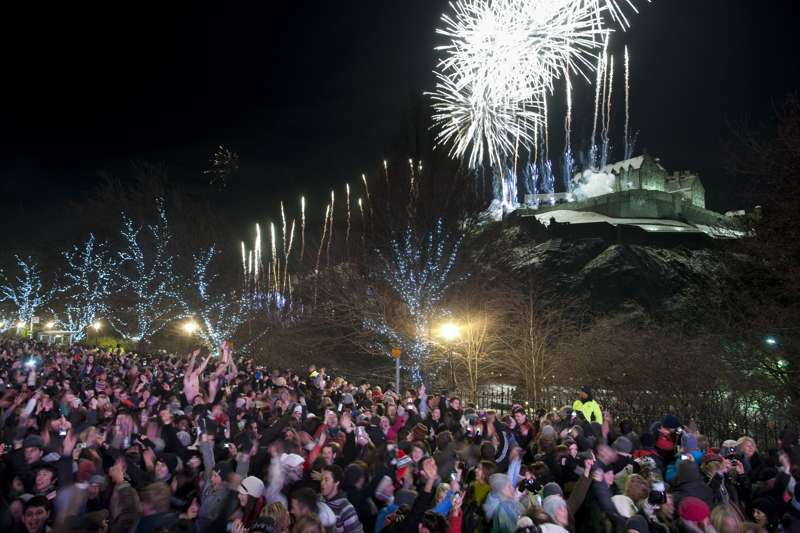 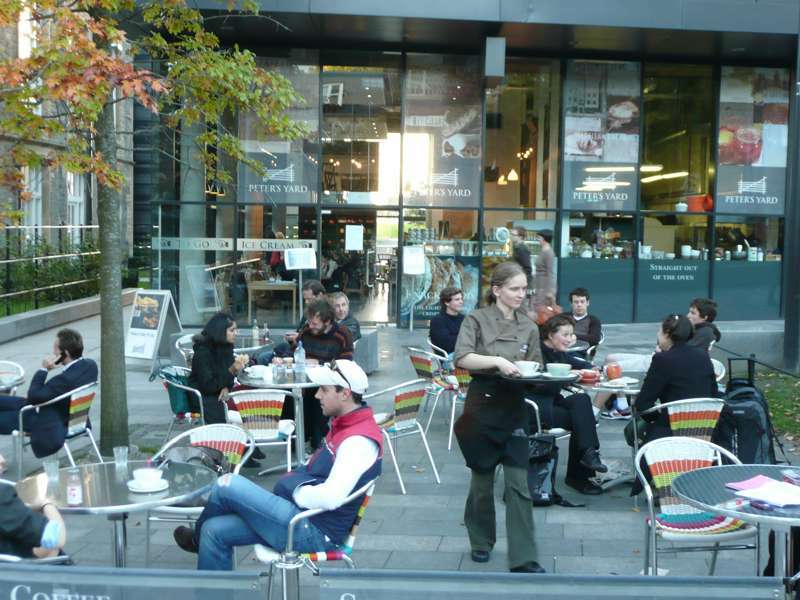 Since the Scottish Parliament returned to Edinburgh in 1999 the city has also boasted a renewed sense of confidence that is palpable in the city's increasingly cosmopolitan streets. 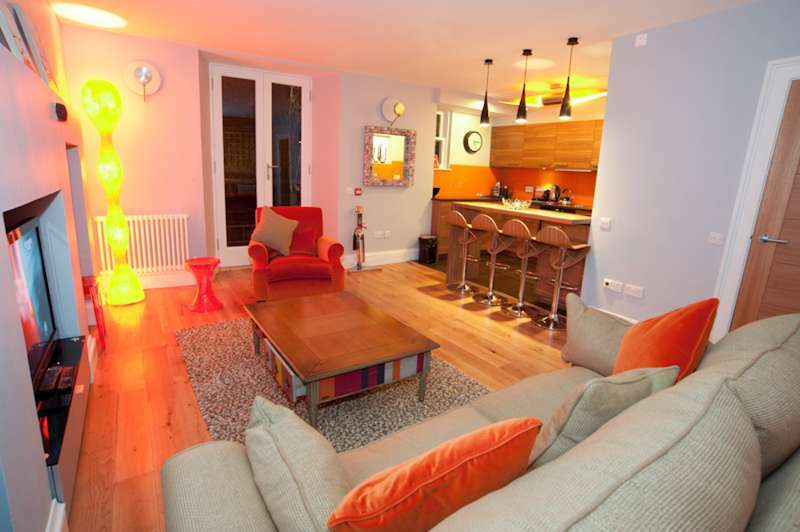 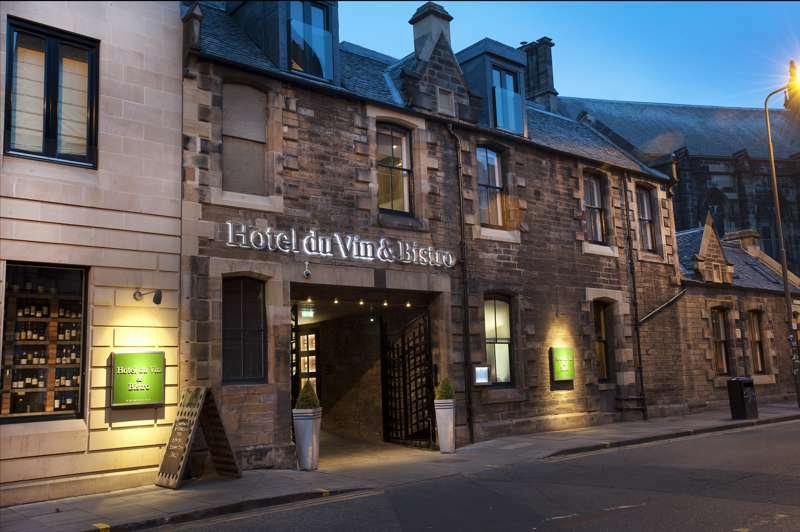 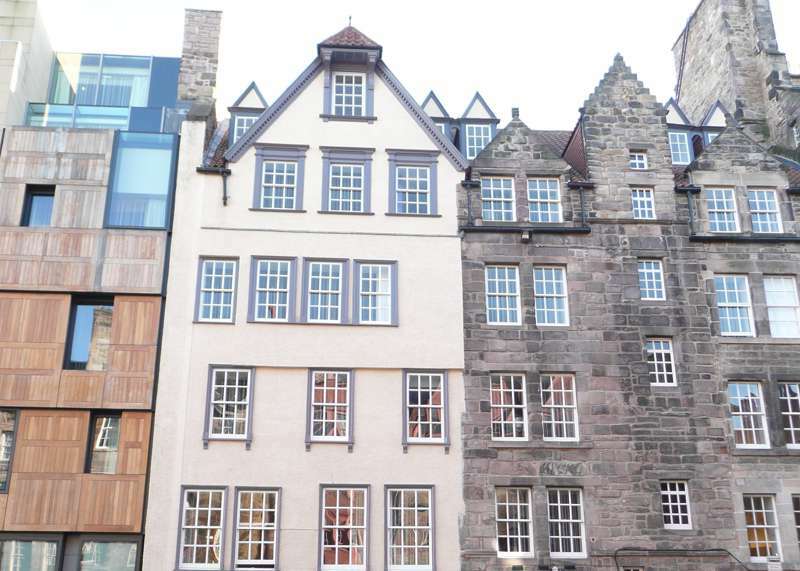 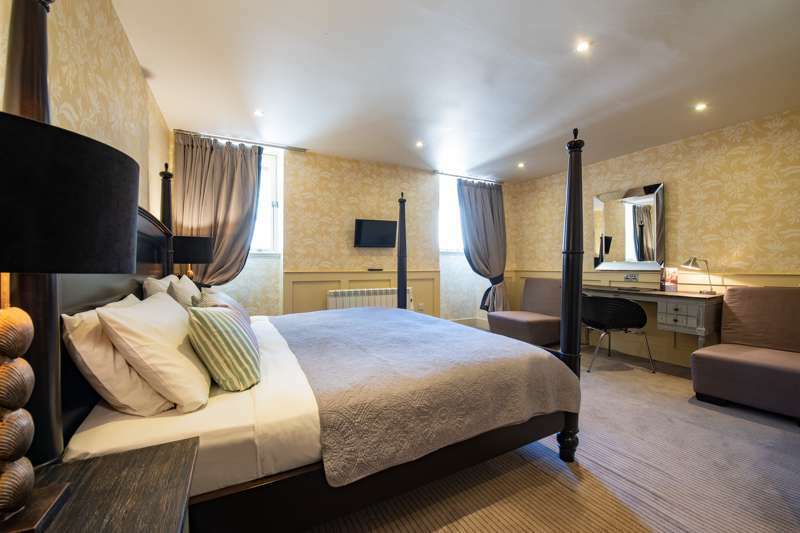 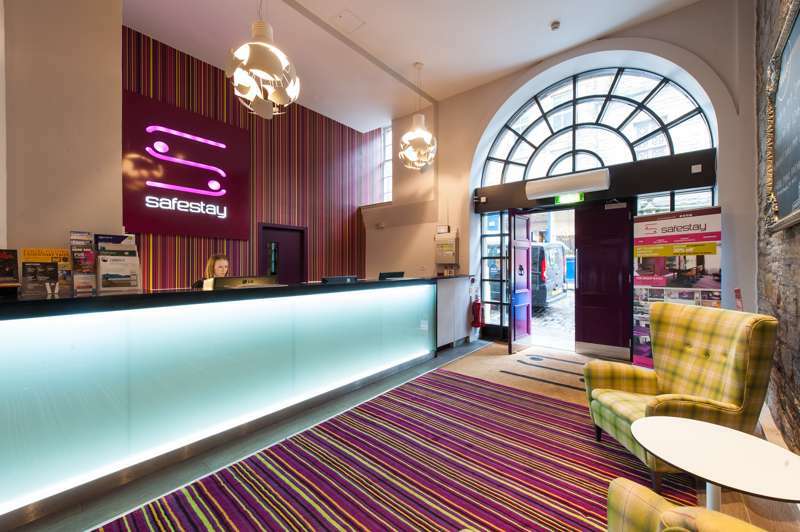 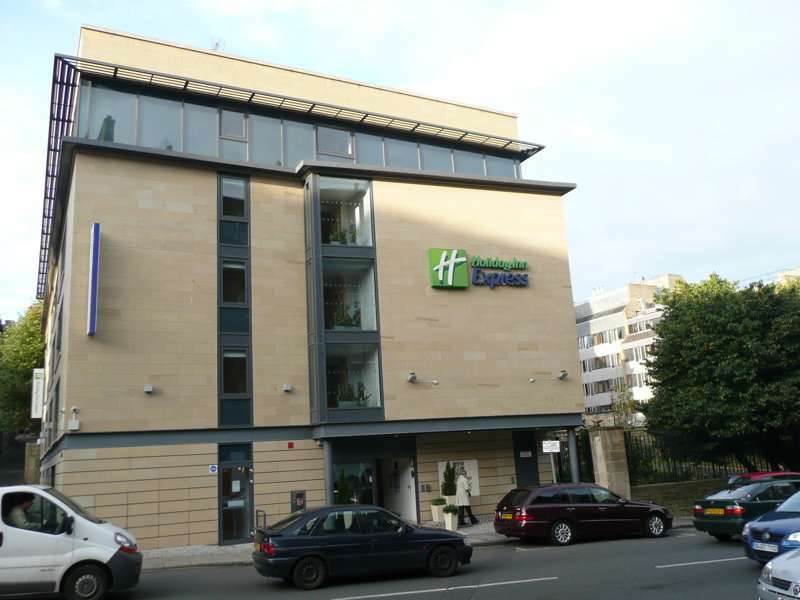 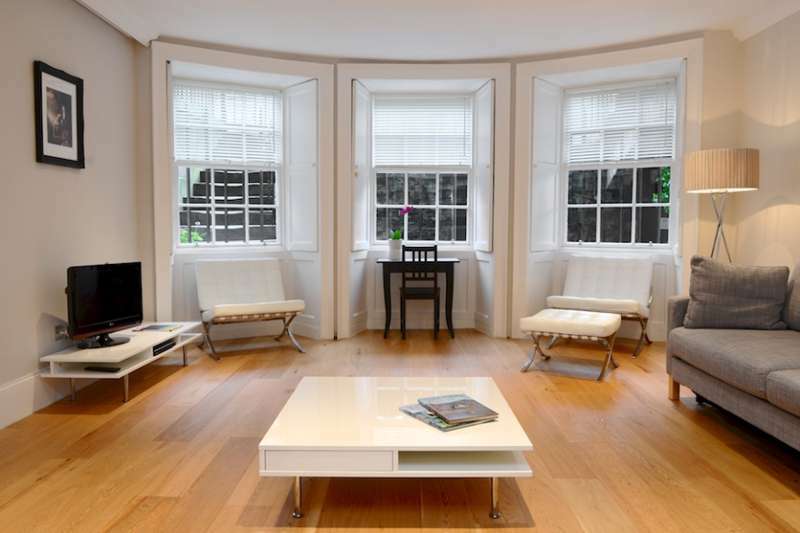 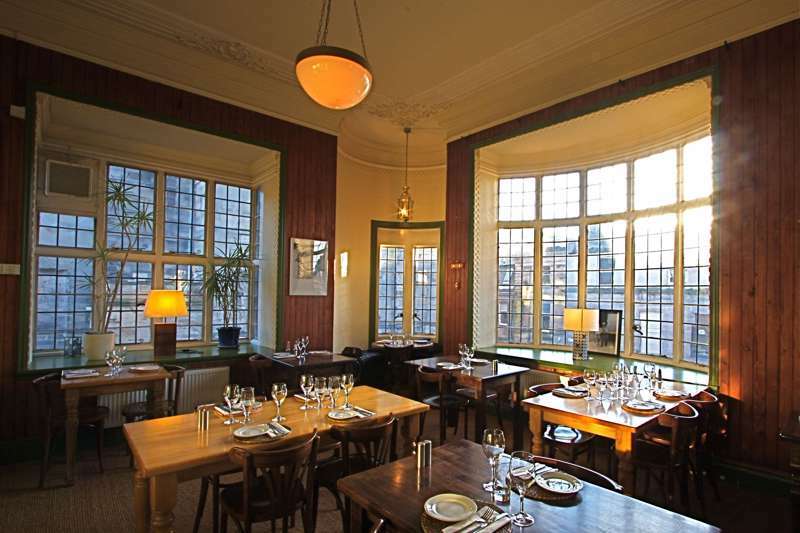 As for Edinburgh hotels, the city has the greatest choice of places to stay in Britain outside of London and whatever your price range you'll find accommodation to suit. 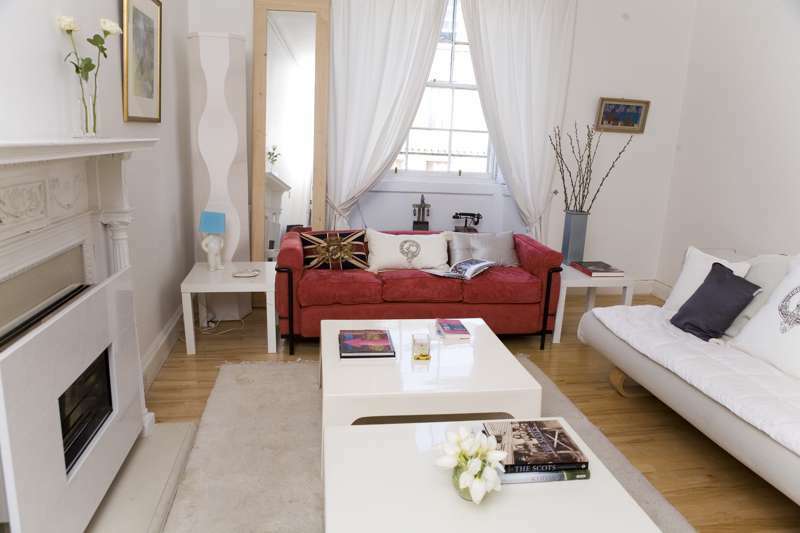 There are historic hotels boasting all the luxury facilities you could desire, boutique hotels in funky urban locations, and backpacker's hostels with dorms at affordable prices – and self-catering is increasingly the way to go with some wonderful apartments to choose from. 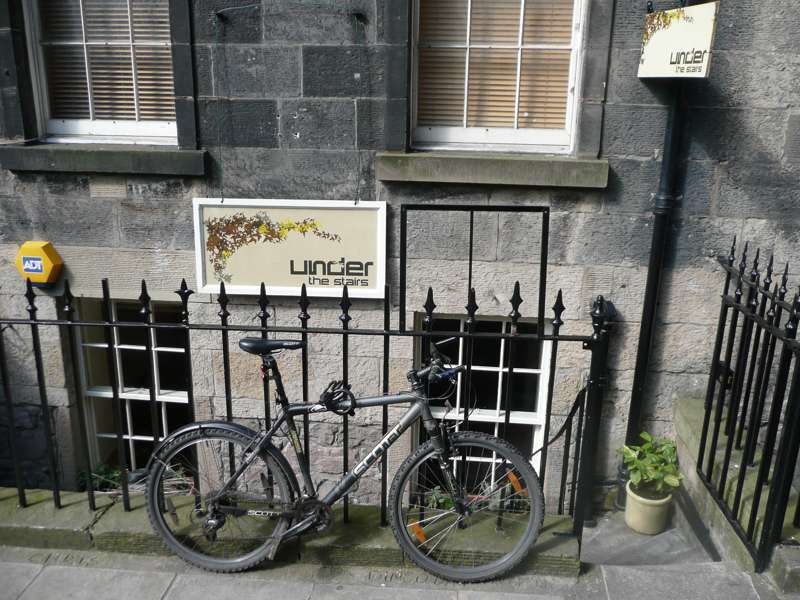 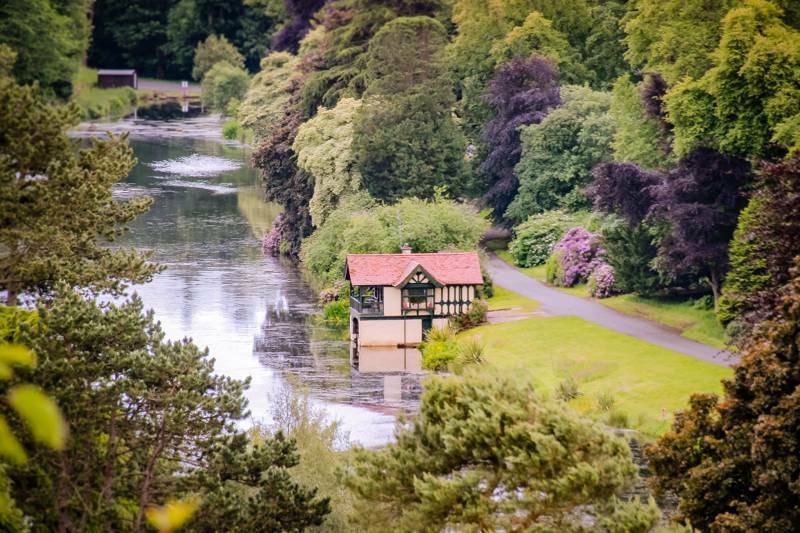 But if you don't mind a short walk or using the good bus service there are plenty of other options, with guesthouses, B&Bs and even the opportunity to stay in university accommodation during the holiday season. 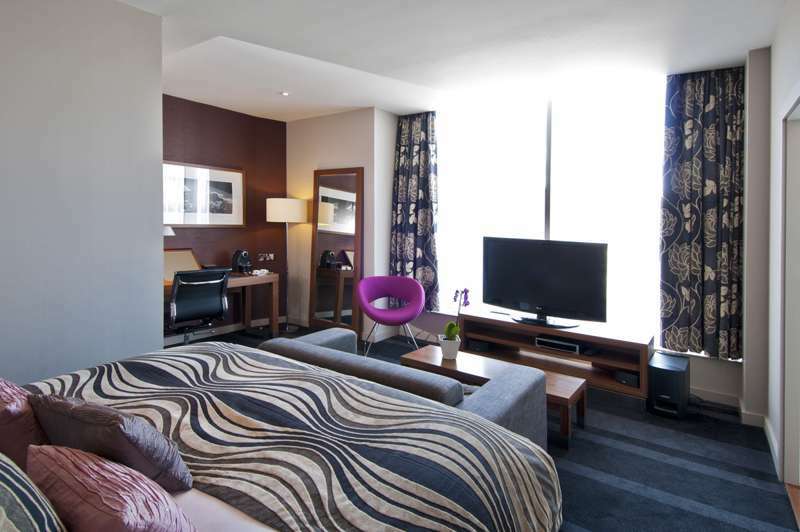 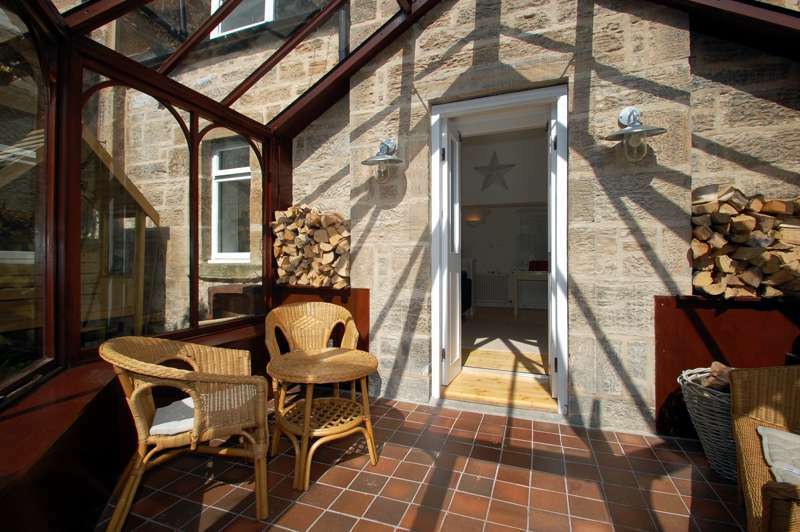 Wherever you decide to stay it's wise to book well in advance as Edinburgh is busy throughout the year. 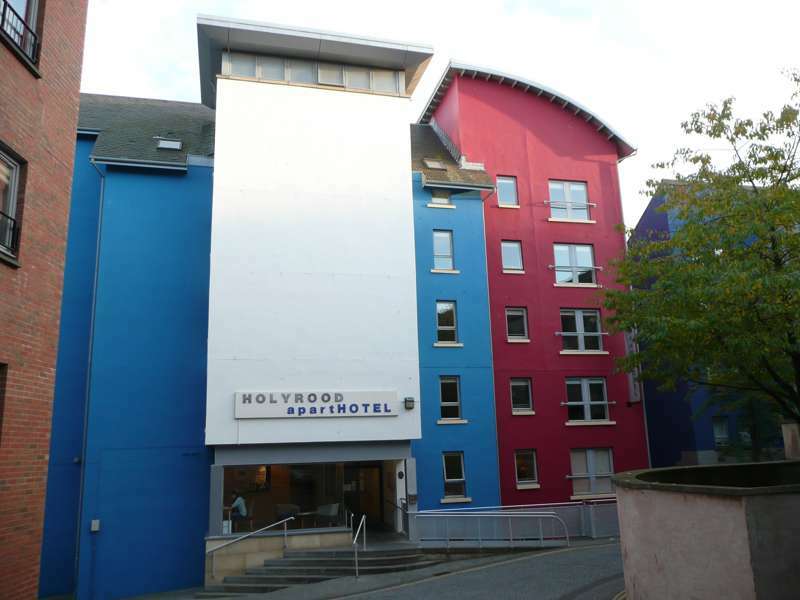 Very central good value hotel with views. 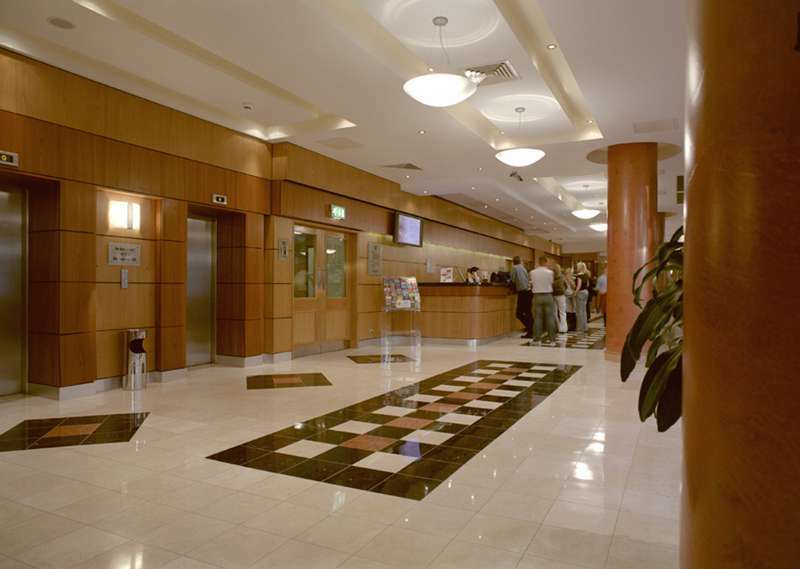 A large, extremely well-appointed hotel in the relatively new financial district. 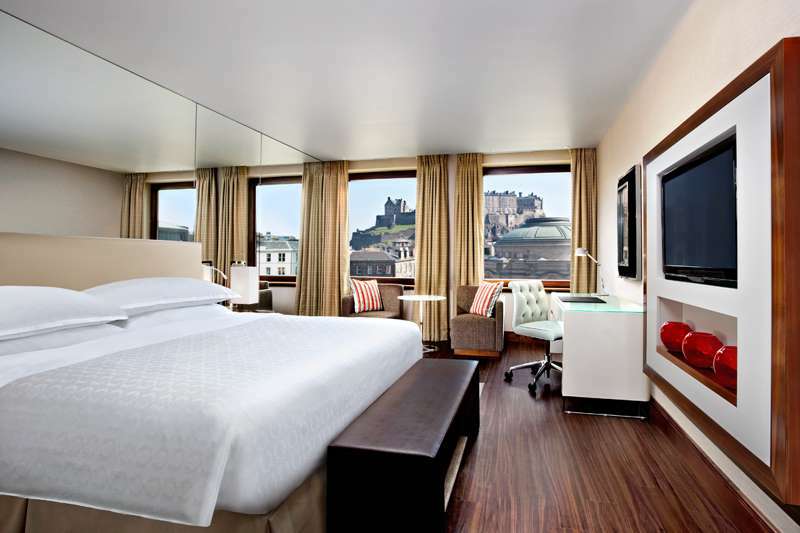 Slick and classy one stop hotel, apartment, bar and restaurant with castle views. 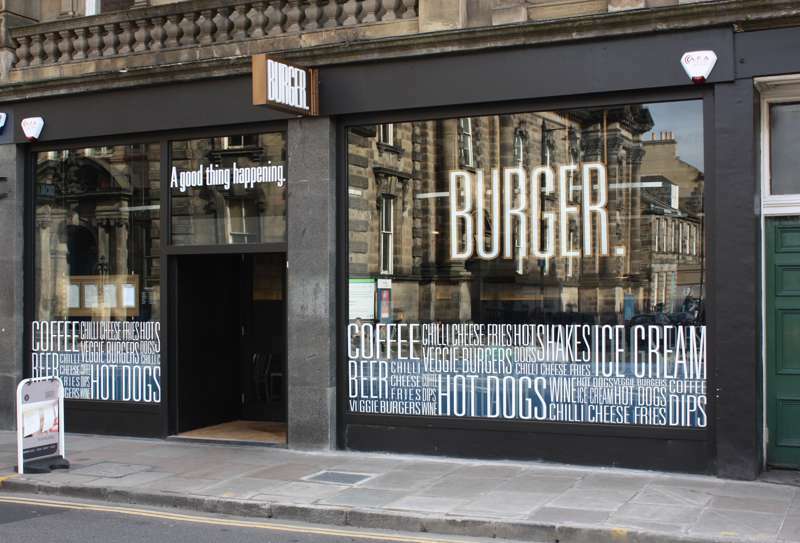 The dining options in Edinburgh are fairly endless and, once you look past the clichéd restaurants selling haggis to the tourist market, it's got a real mix of cuisines. 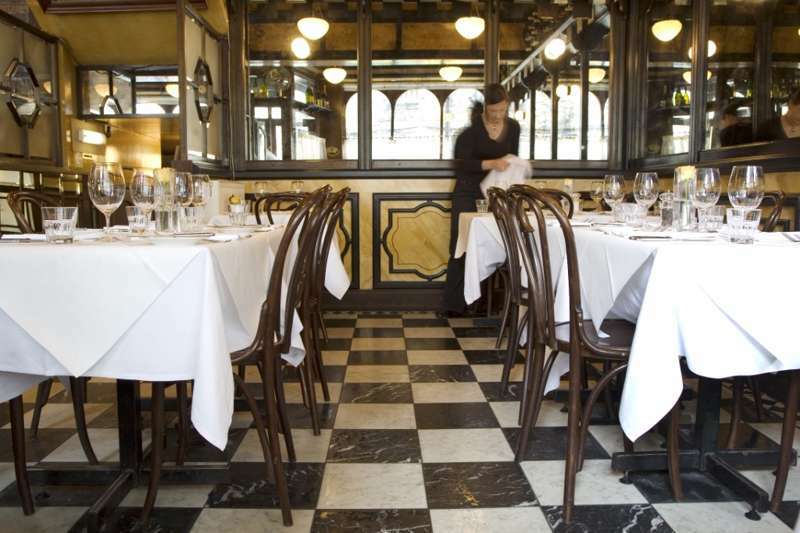 The city boasts five restaurants with Michelin stars, along with a handful of diners and bistros that don't fall far short of earning a similar merit. 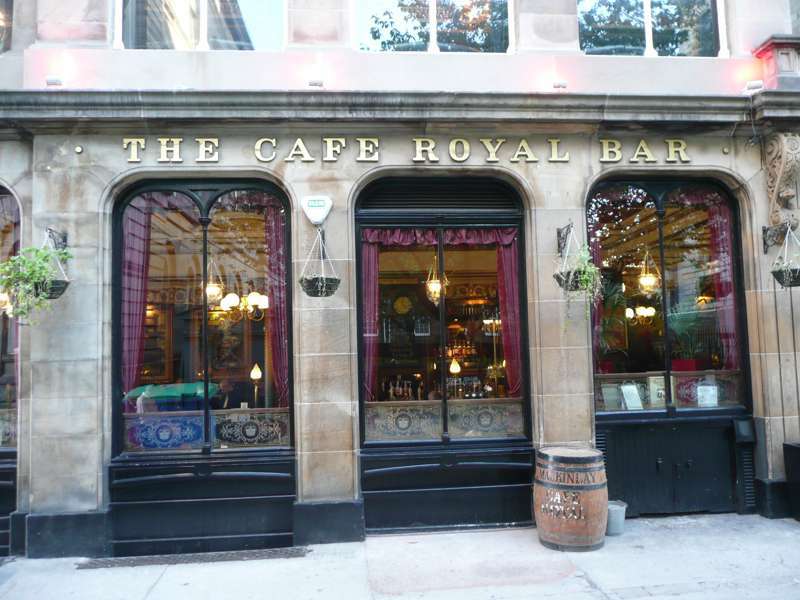 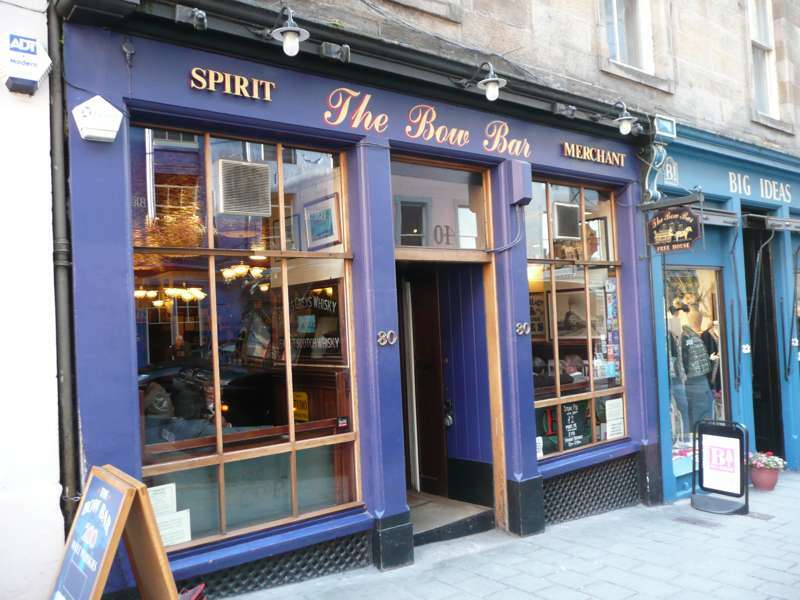 If you'd prefer a more casual eating experience or a simple drink with friends, then Edinburgh is home to pubs that are centuries old and serve the best beer in a friendly setting. 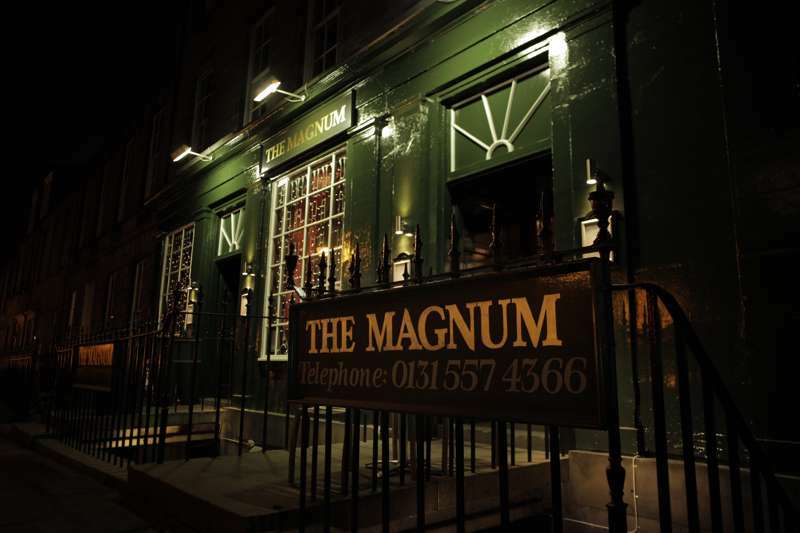 Throw in modern bars and a buzzing nightlife and you realise why Edinburgh genuinely can cater for every taste. 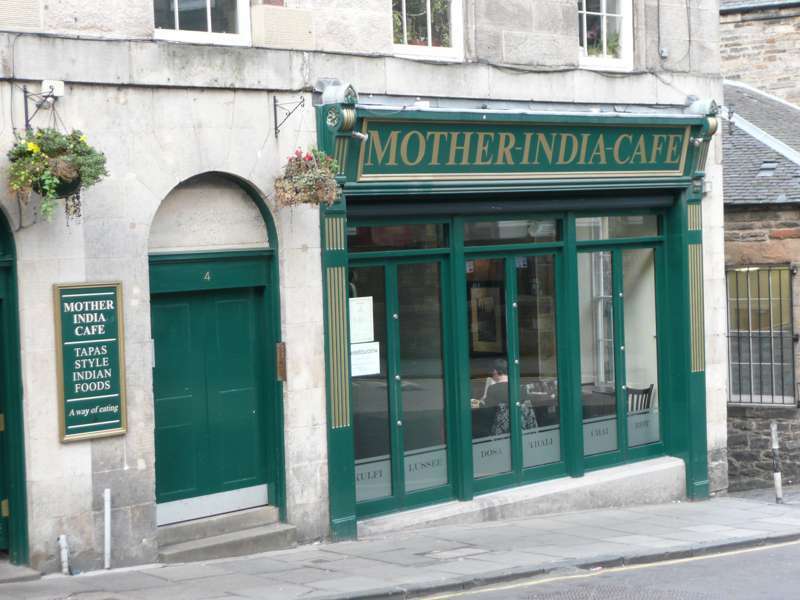 Excellent Indian restaurant in the Old Town. 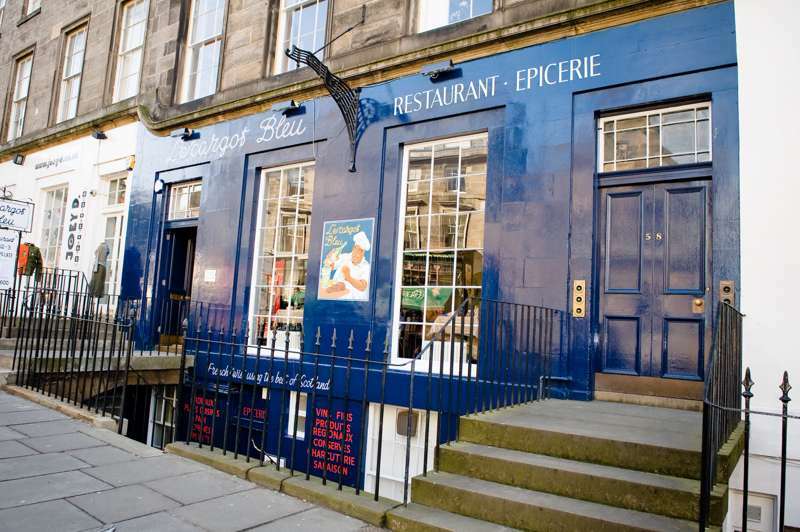 Edinburgh-born head chef and owner Roy Brett is at the helm of one of the UK's finest seafood restaurants. 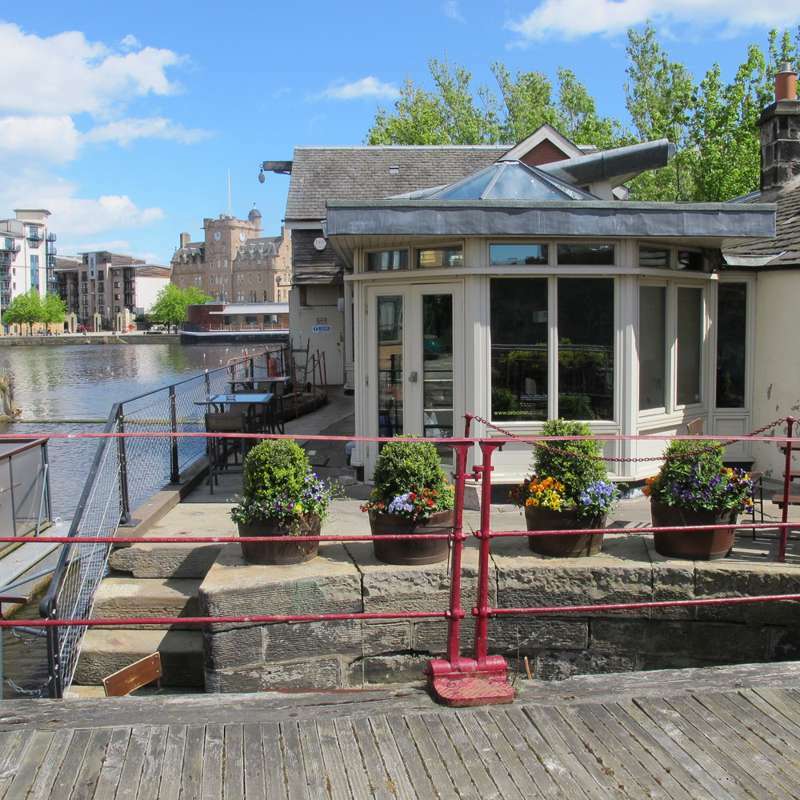 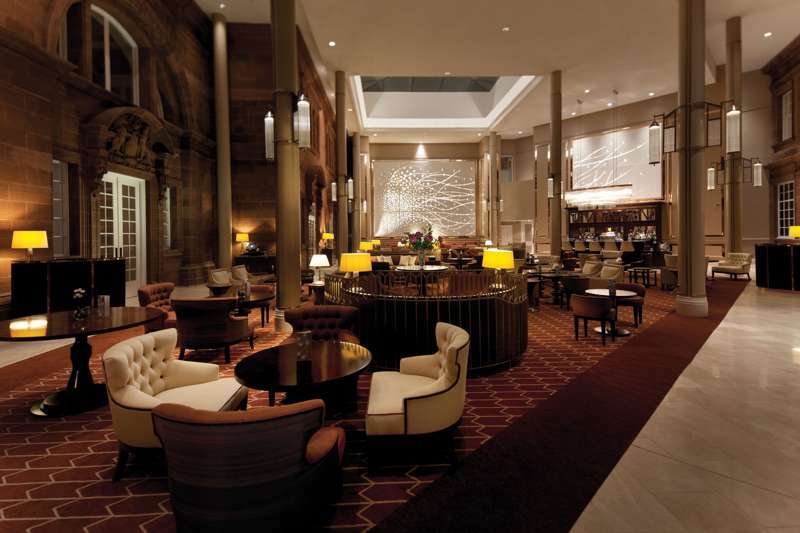 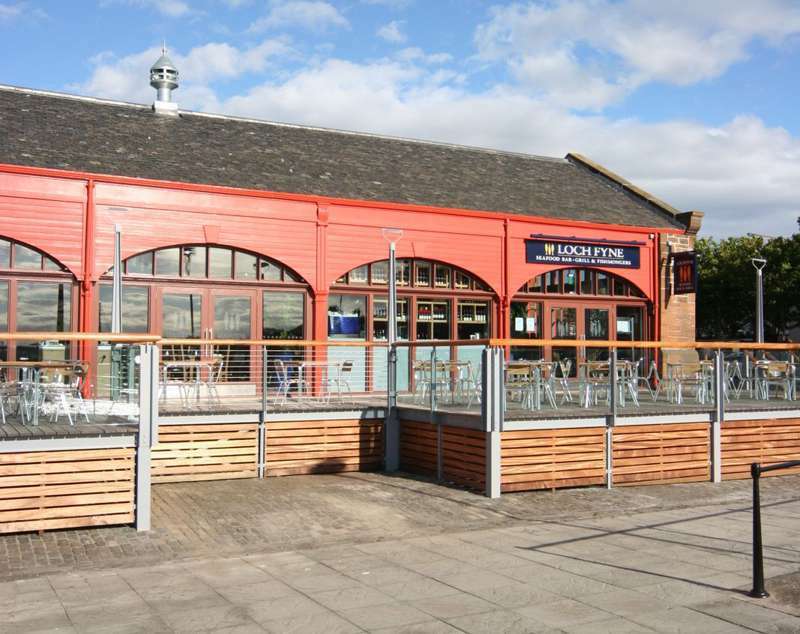 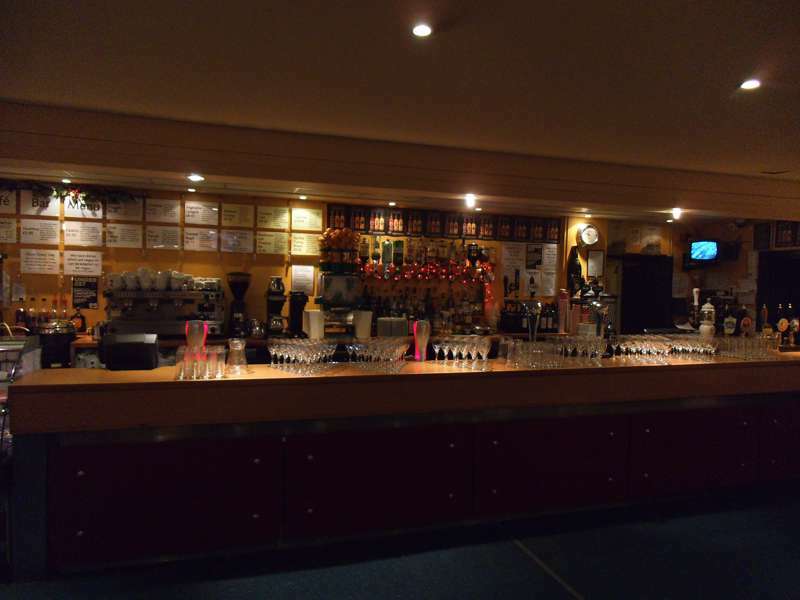 Swish restaurant, bar and Edinburgh meeting place. 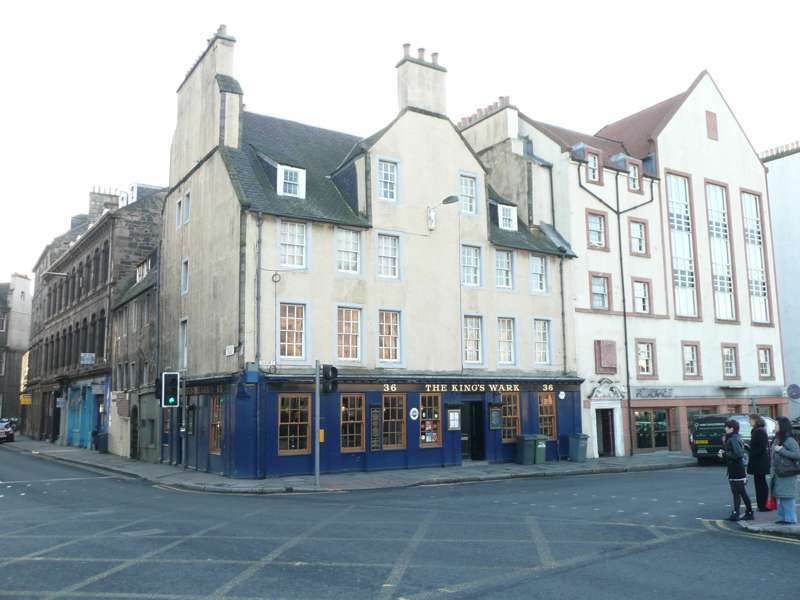 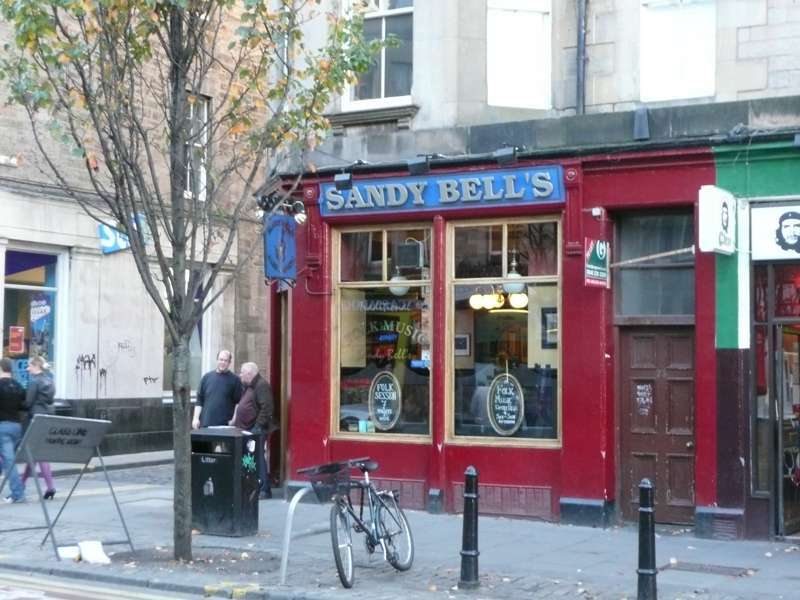 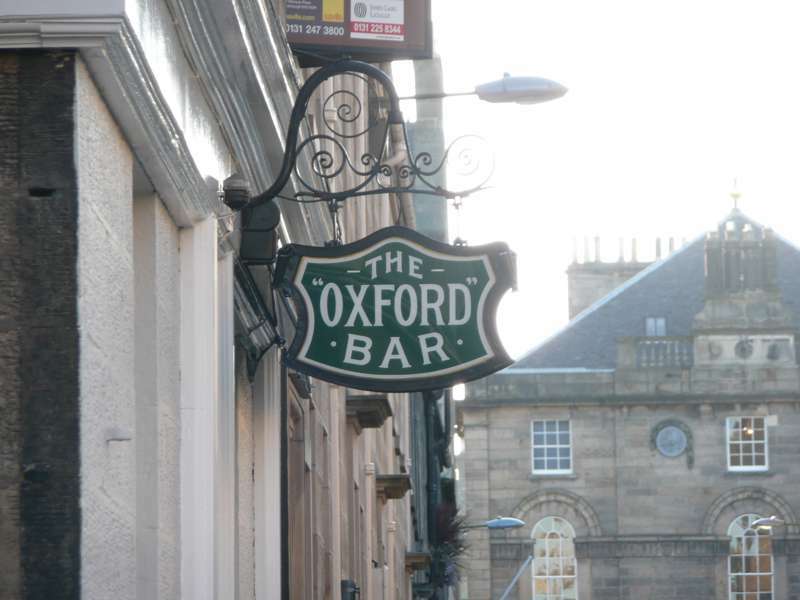 Old world boozer in the heart of tourist Edinburgh much beloved of author Ian Rankin. 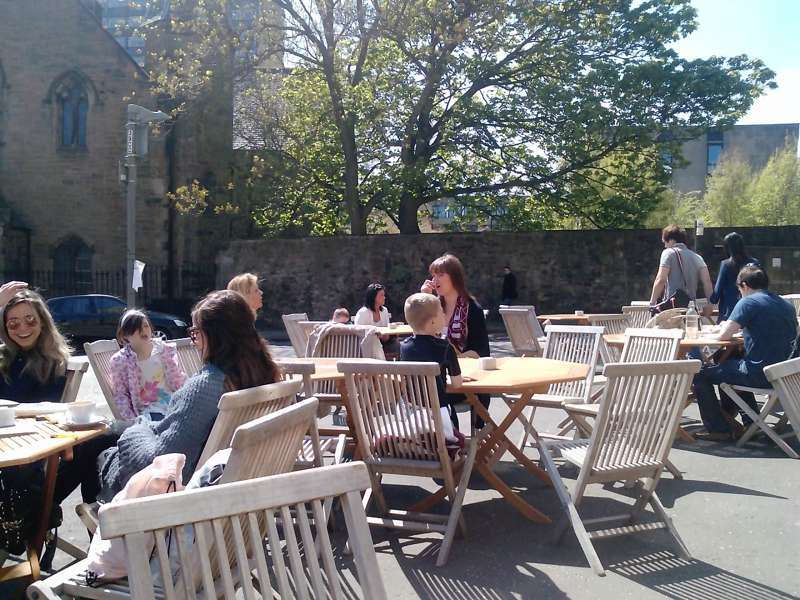 Inspired by a Swedish bakery, Peter's Yard brings a bit of Scandinavian chic to Edinburgh. 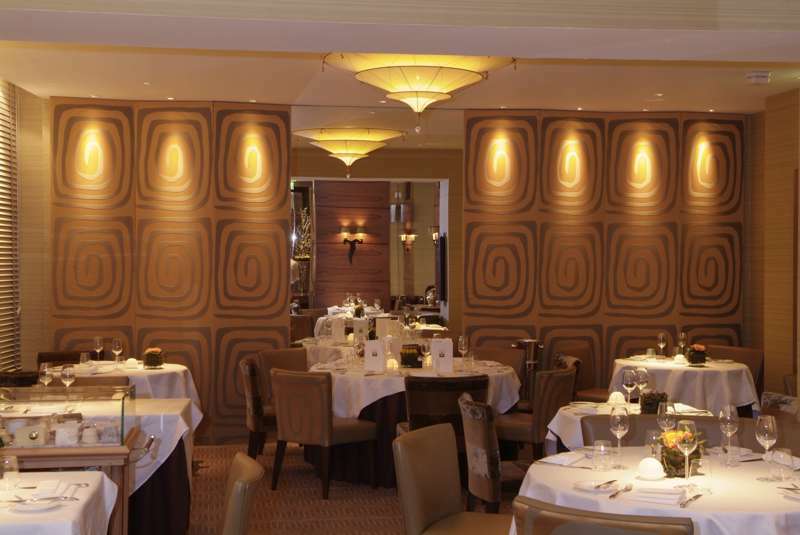 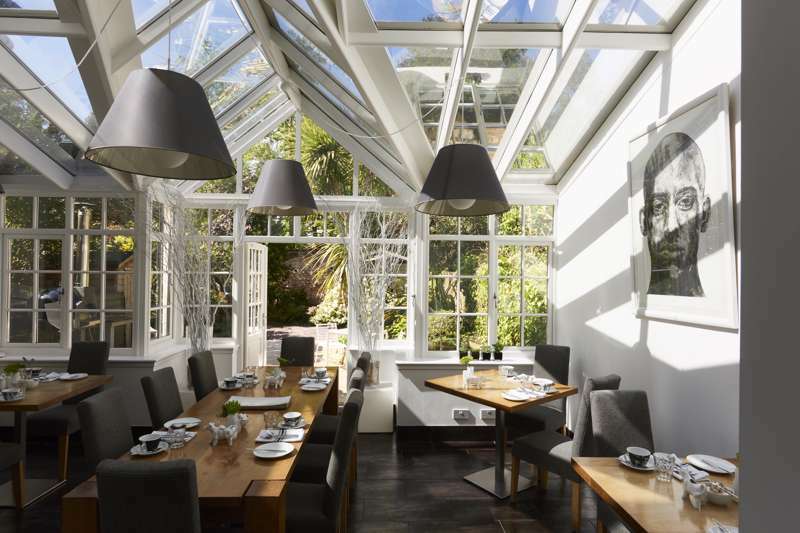 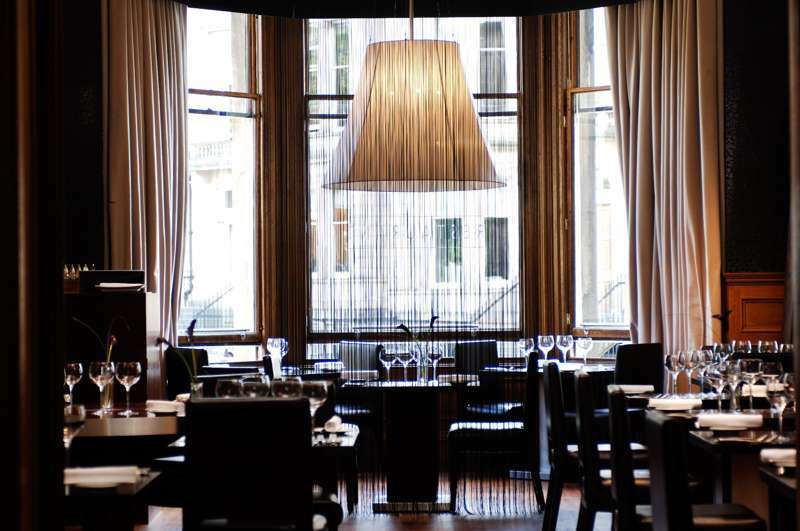 Roux-trained chef Martin Wishart gained Edinburgh’s first ever Michelin star in 2001. 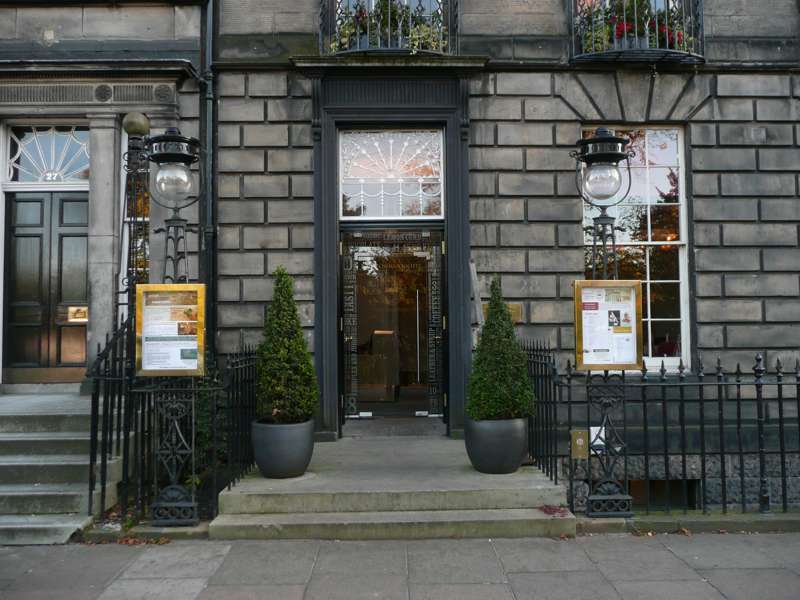 Great value modern Scottish cooking in the West End. 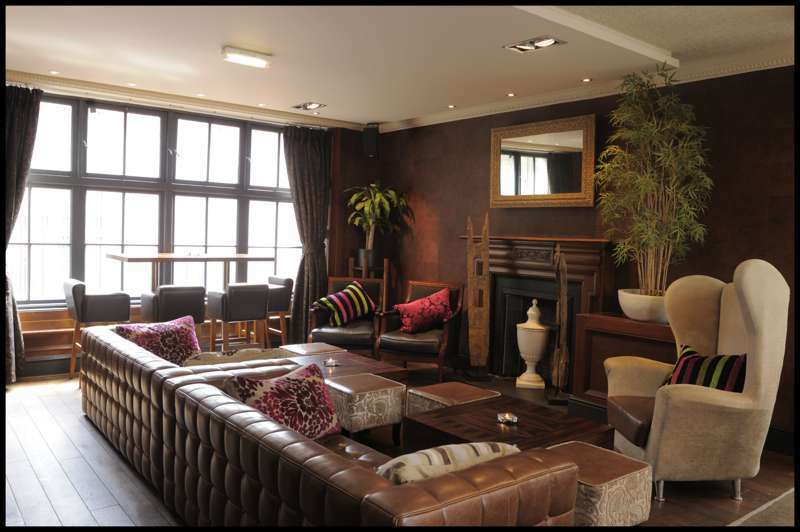 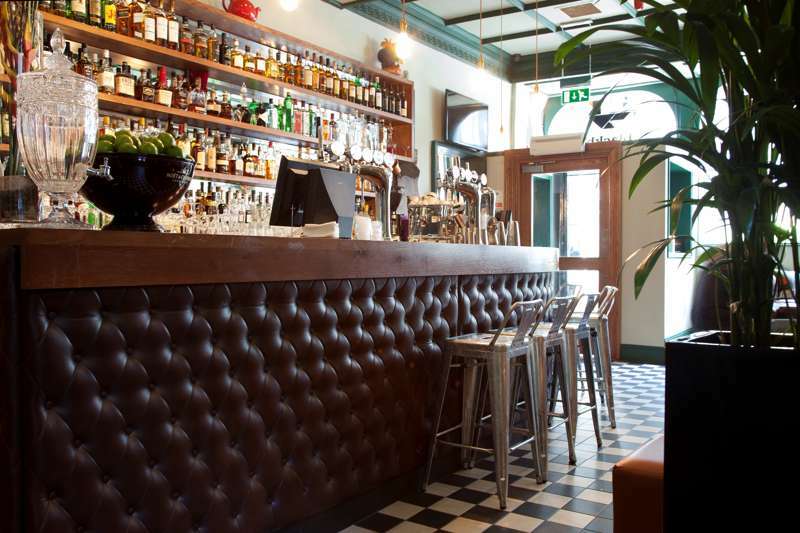 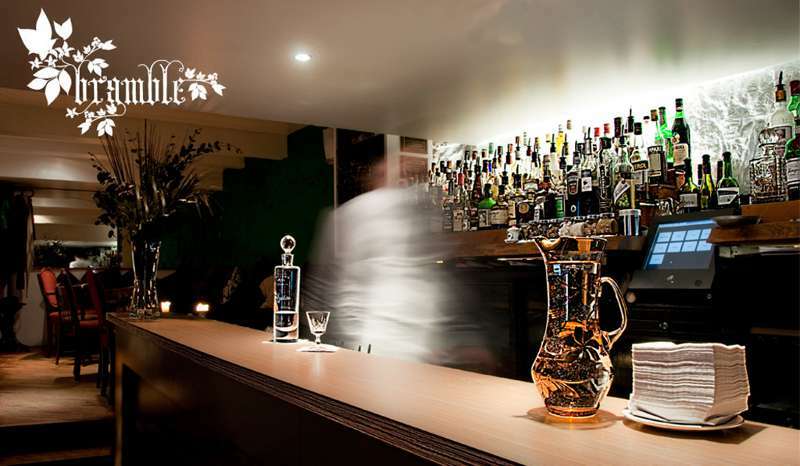 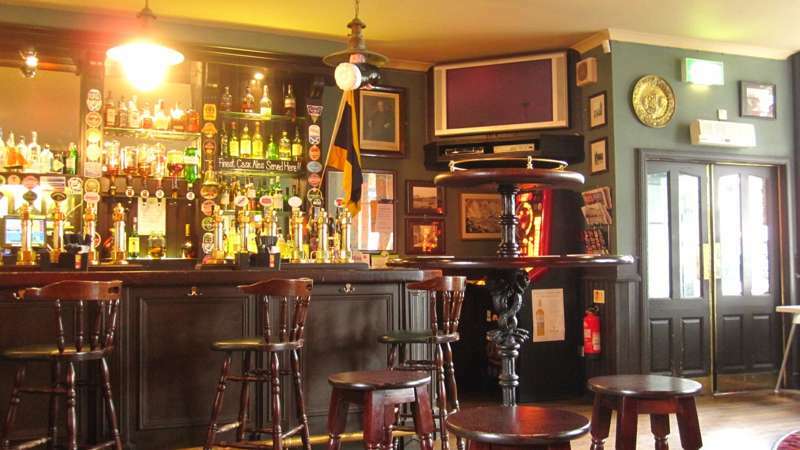 An atmospheric traditionally furnished bar located in the University quarter. 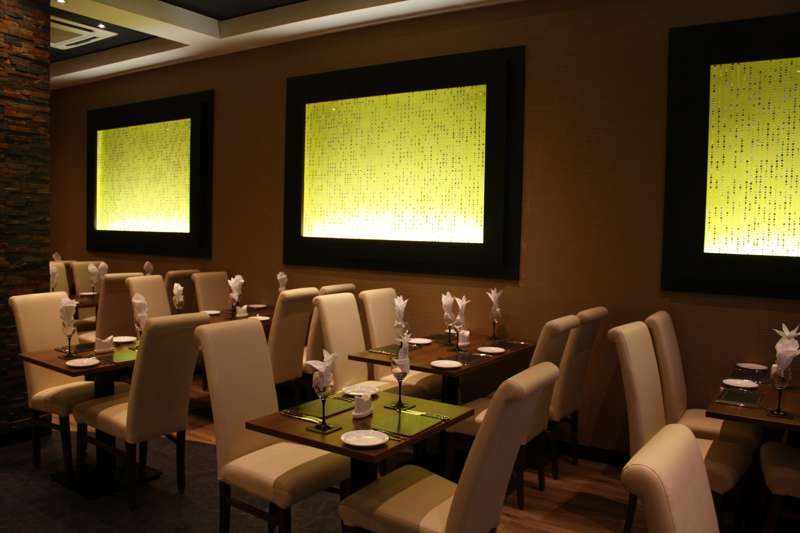 Located up a nondescript internal stairway, Spoon keeps its charms modestly hidden. 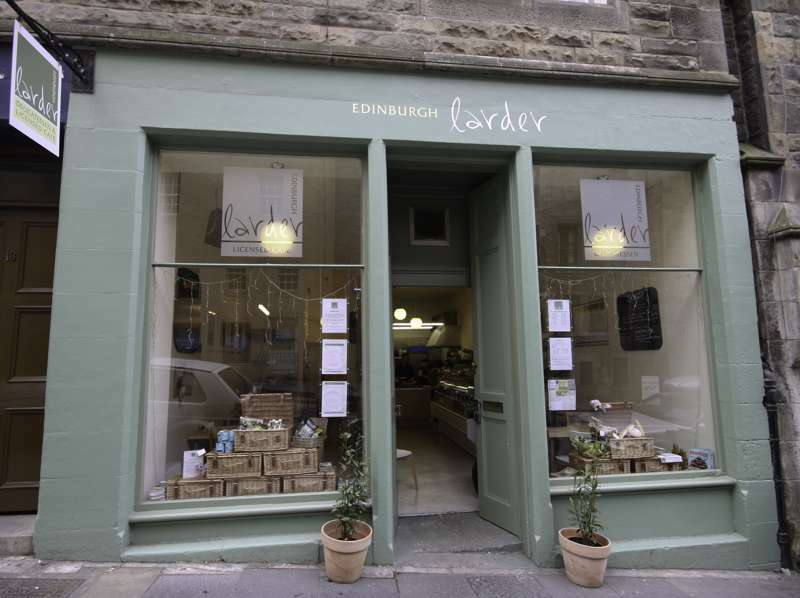 Solid Modern Scottish Cooking Just off the Royal Mile. 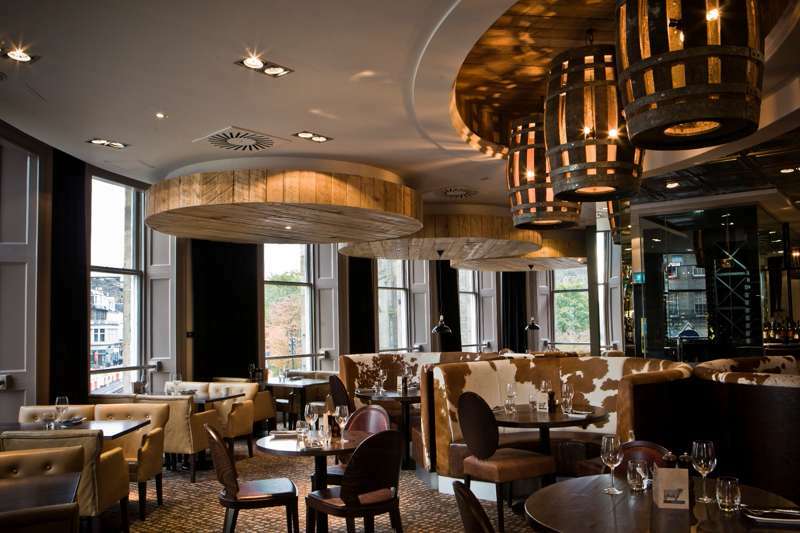 Seriously hearty Scottish fare in an inviting New Town grotto. 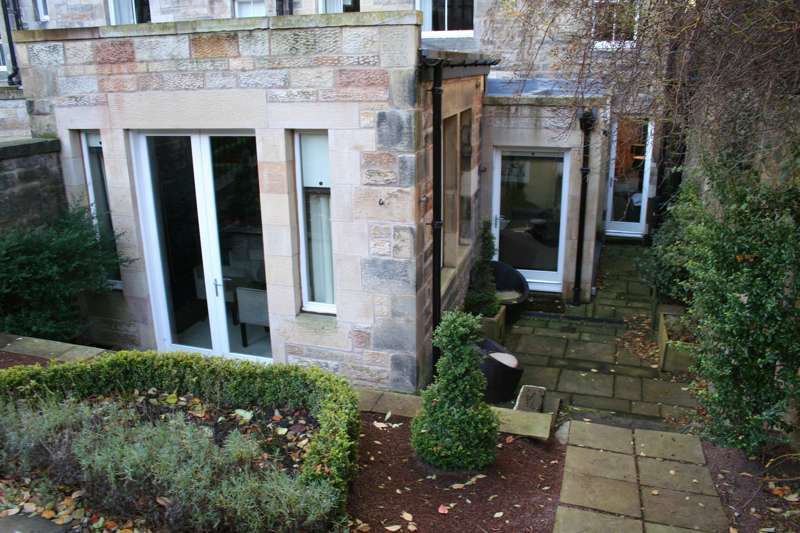 A stunning contemporary conversion of a Georgian New Town townhouse, the Dining Room lies within the Scotch Malt Whisky Society. 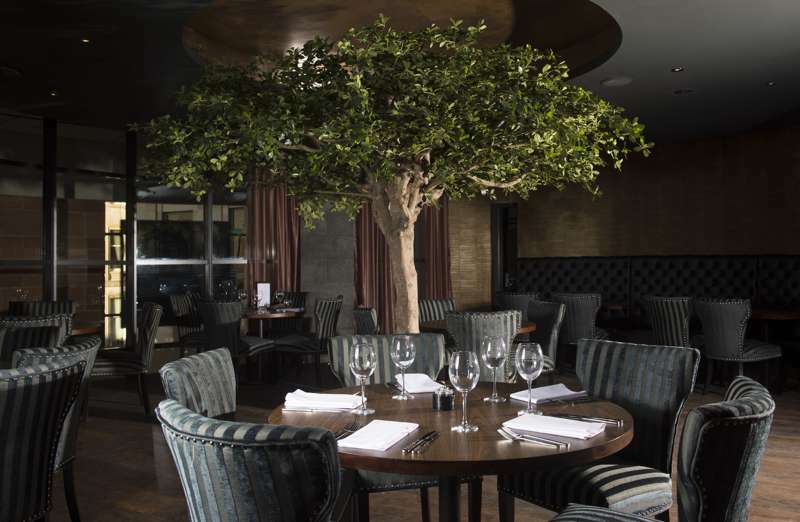 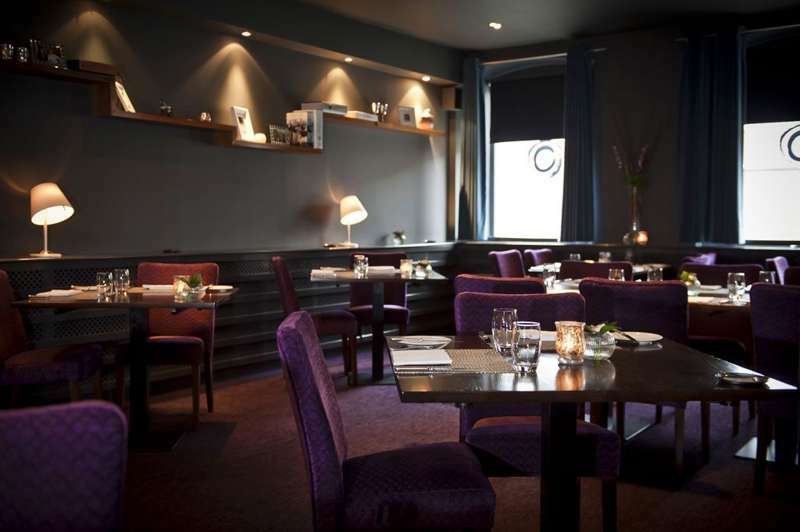 Superb modern Scottish dining at the heart of Edinburgh's whisky scene. 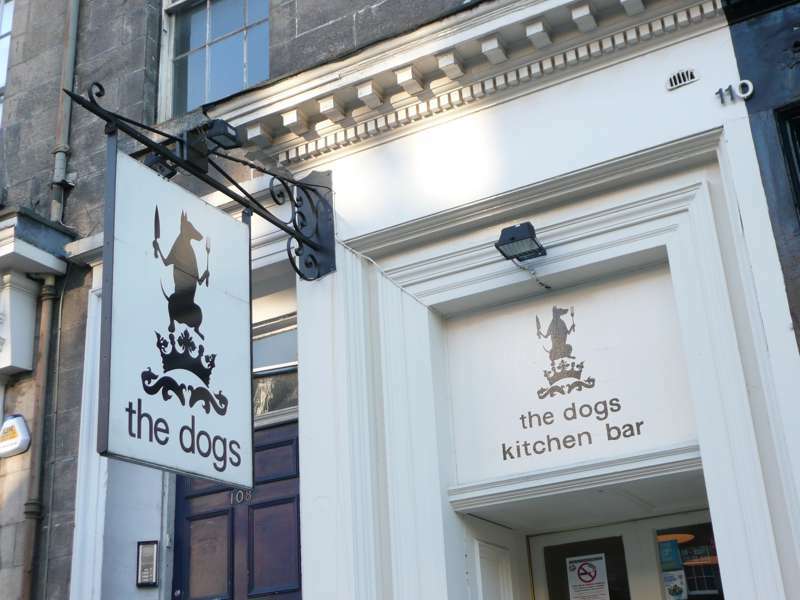 In some ways The Dogs is a flagship for gastro-pub style dining in Edinburgh. 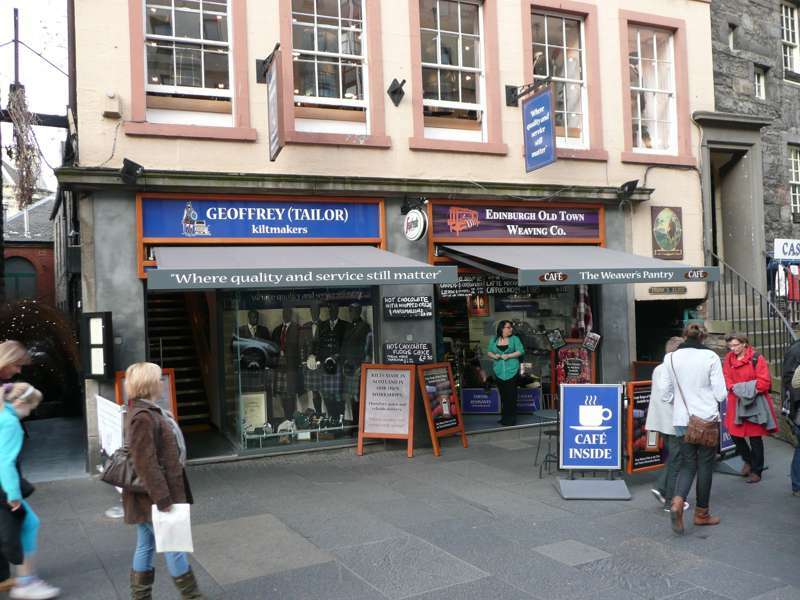 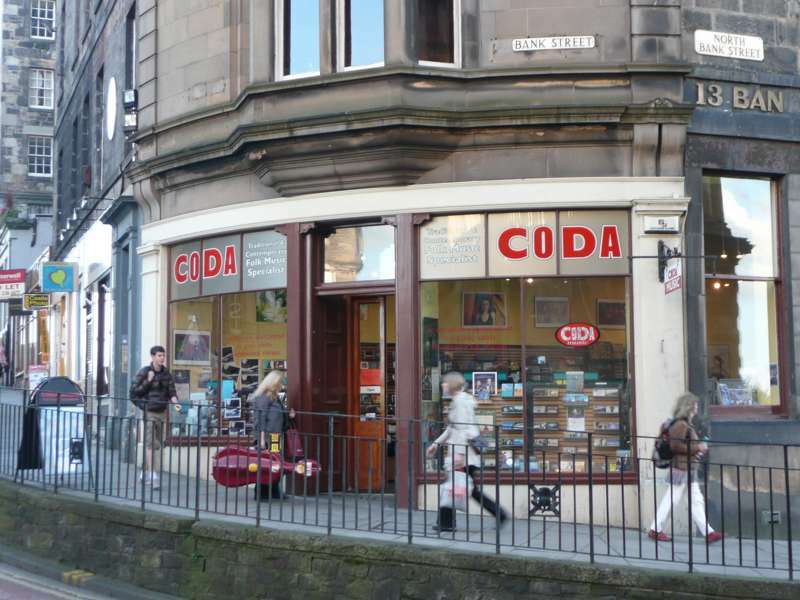 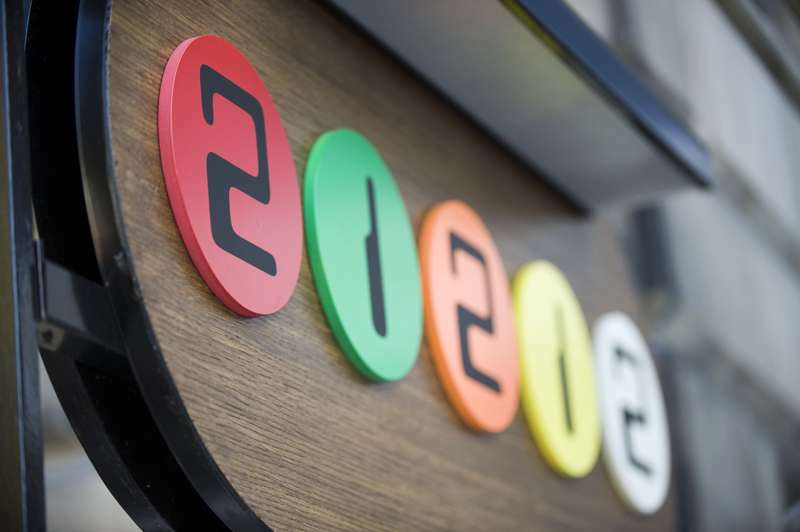 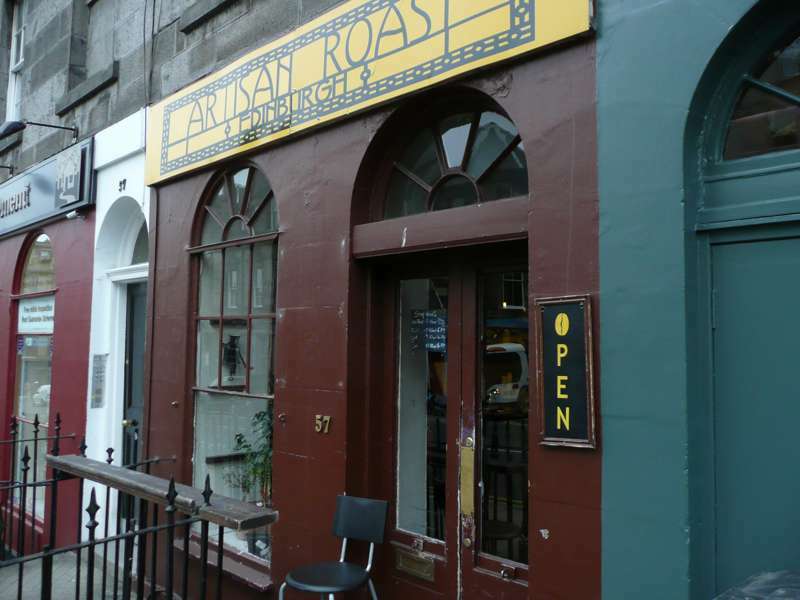 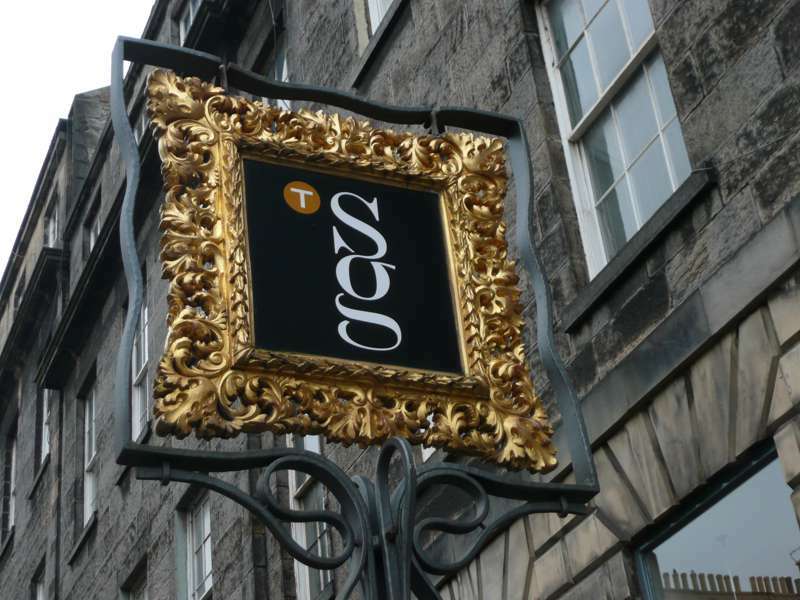 A bright, welcoming café that's just a few yards off the Royal Mile. 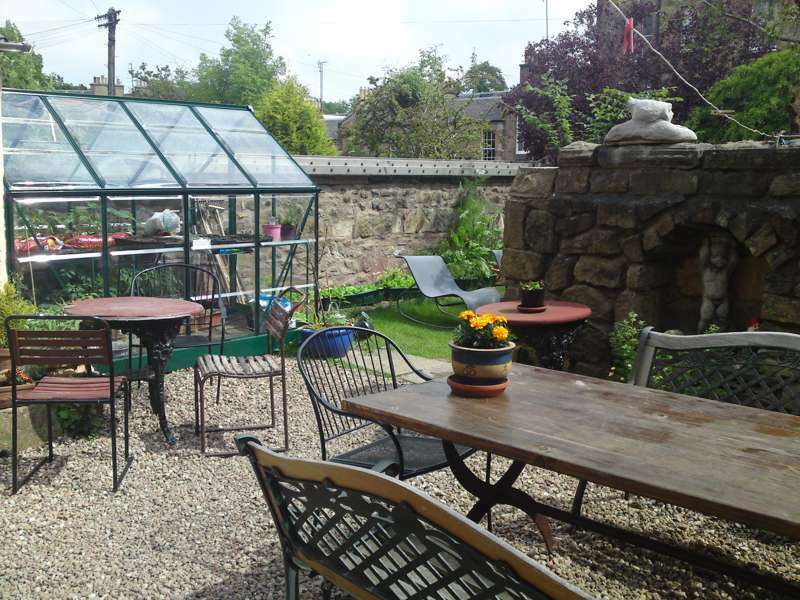 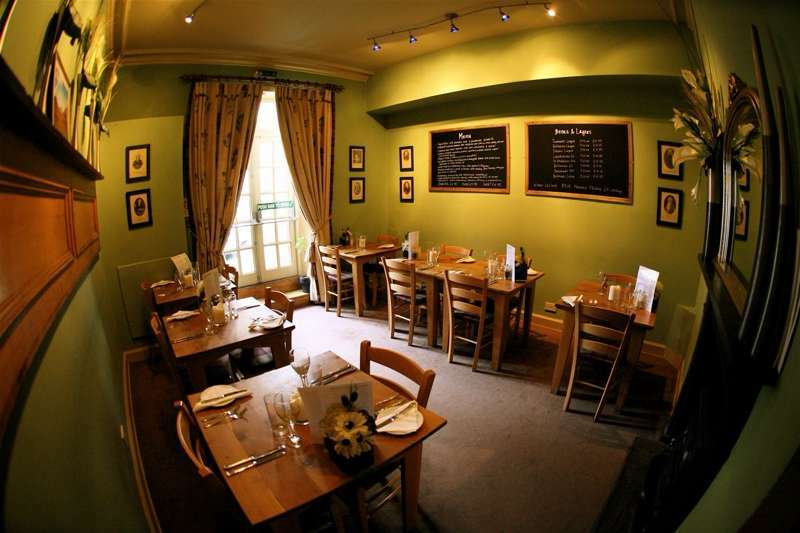 Imaginative fresh, local produce served in fresh, local surrounds. 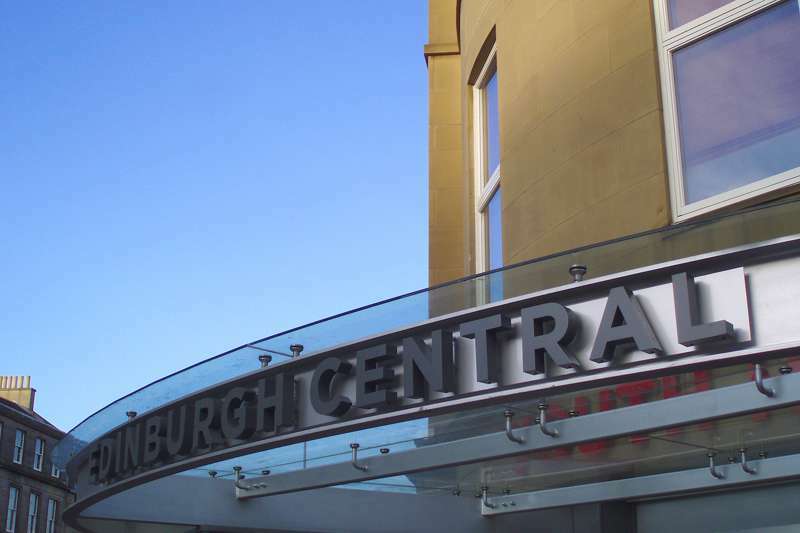 As one of Edinburgh's leading contemporary art galleries, the Fruitmarket makes for a stylish, cultured and handy central venue. 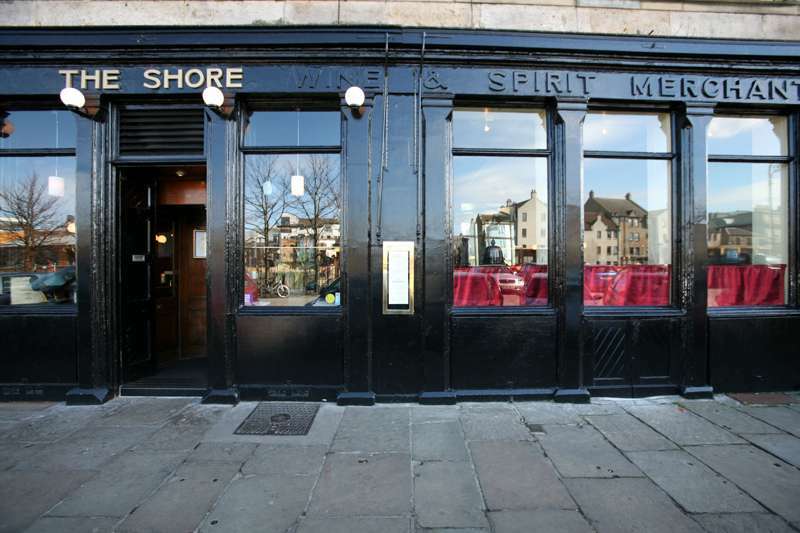 Top notch Michelin dining from the eponymous TV chef in trendy Leith. 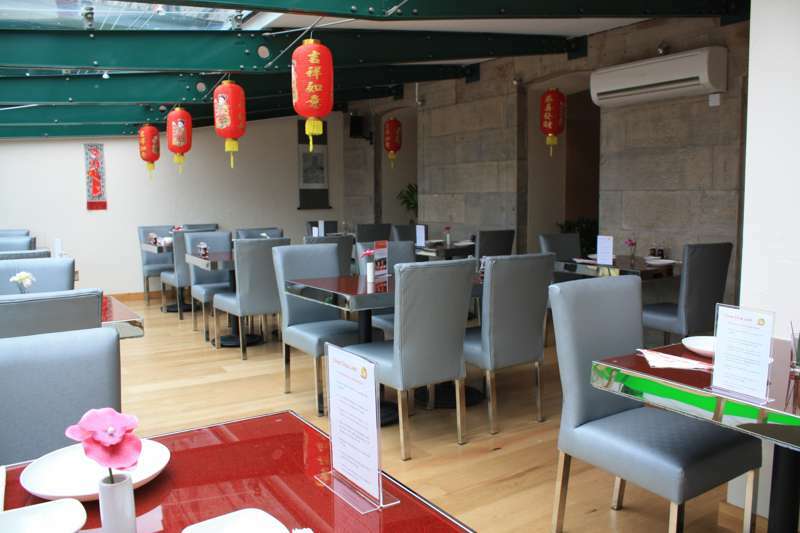 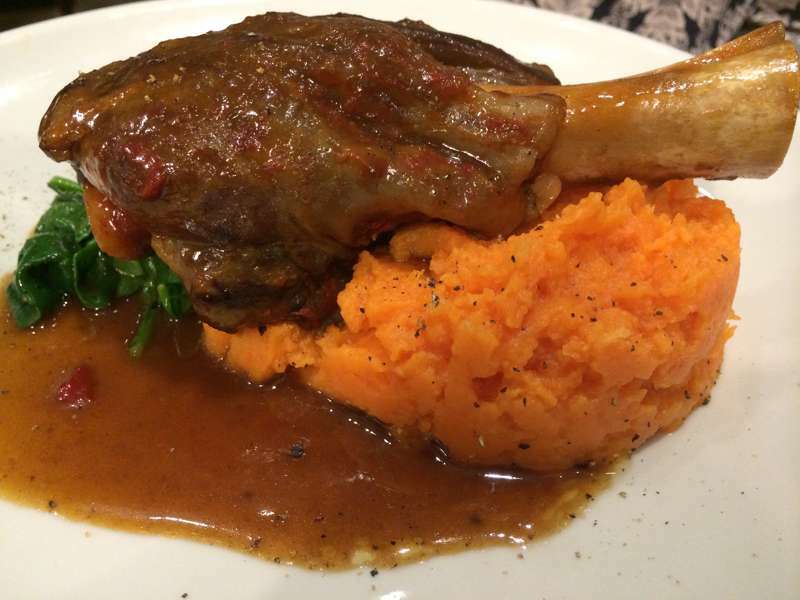 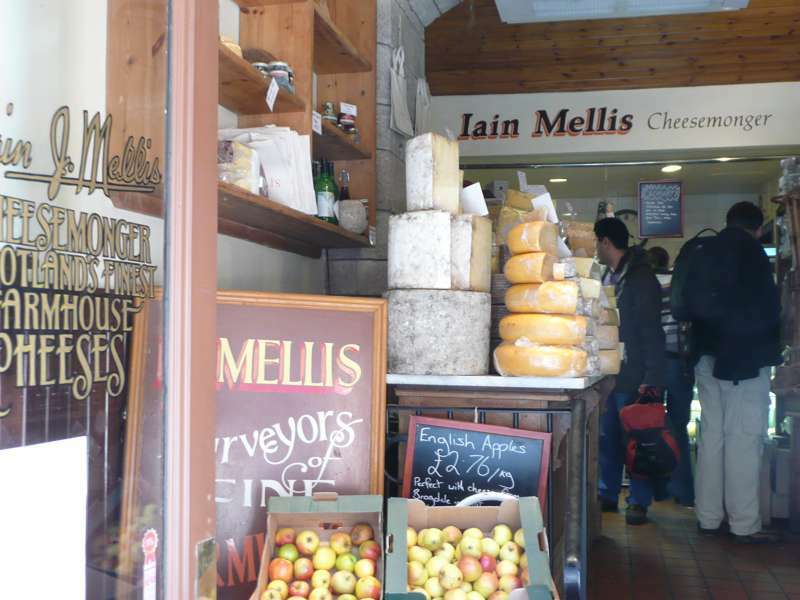 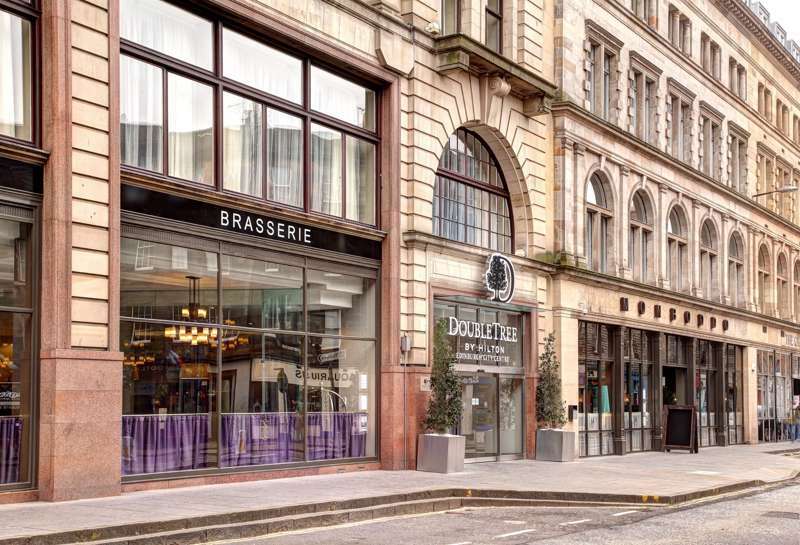 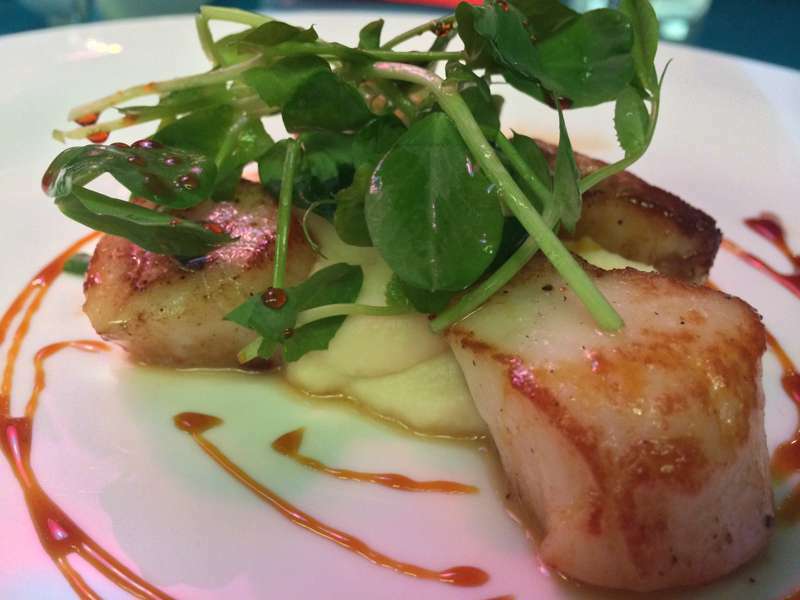 Under the radar oasis of fine food and wine right in the city centre. 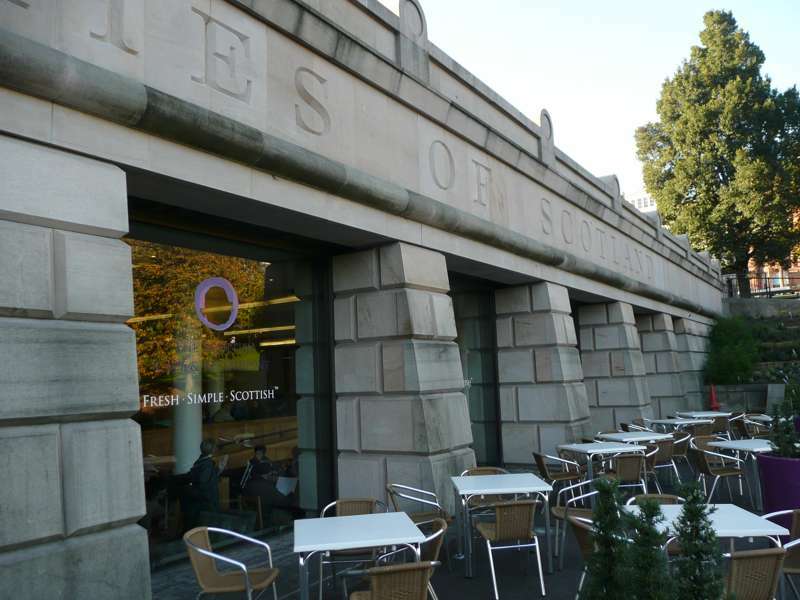 Located in a recent extension to the National Gallery, this place is a handy sanctuary. 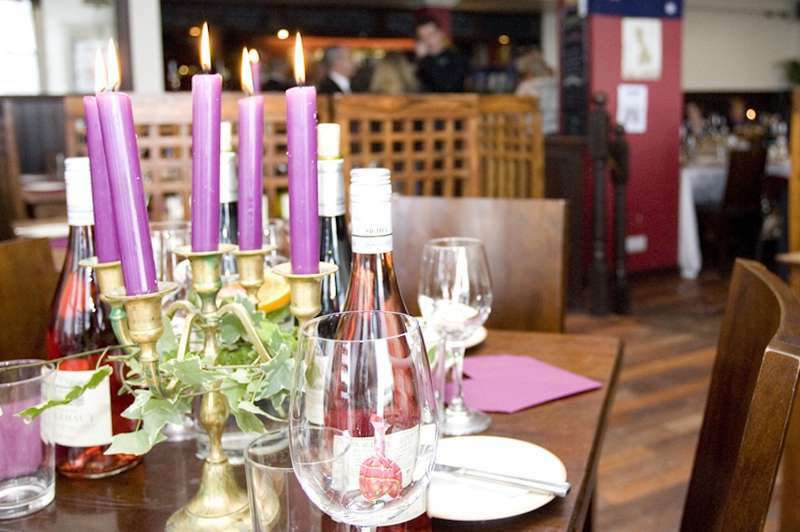 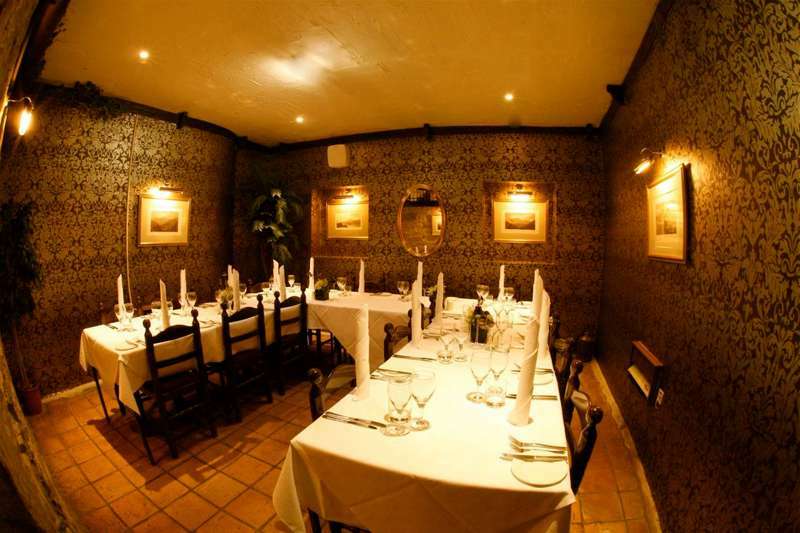 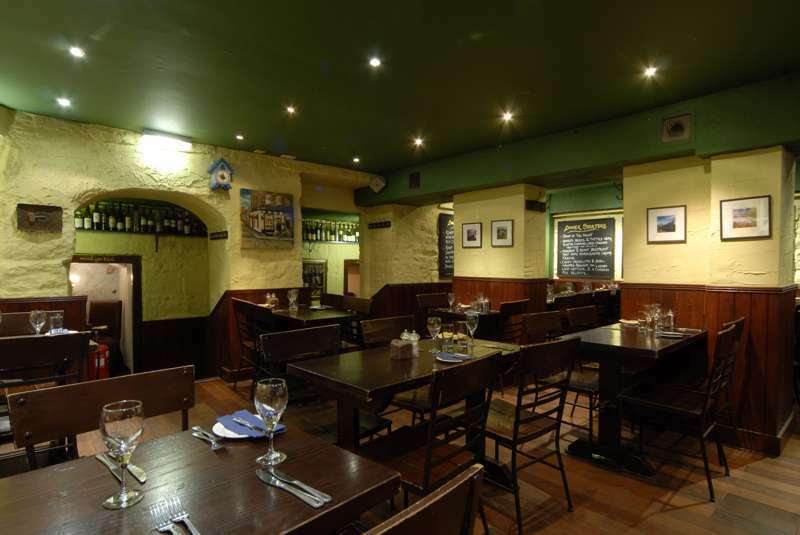 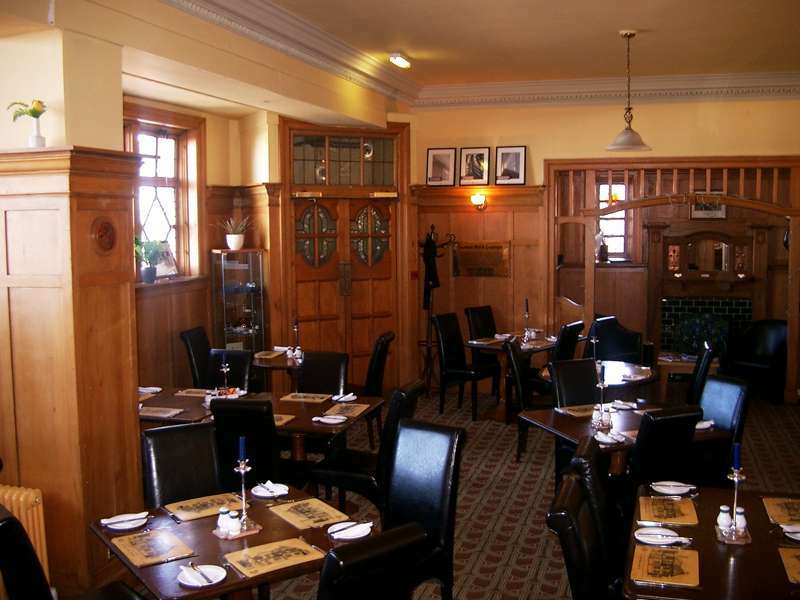 One of the most convivial and well-lived-in eating and drinking venues in town with seafood a speciality. 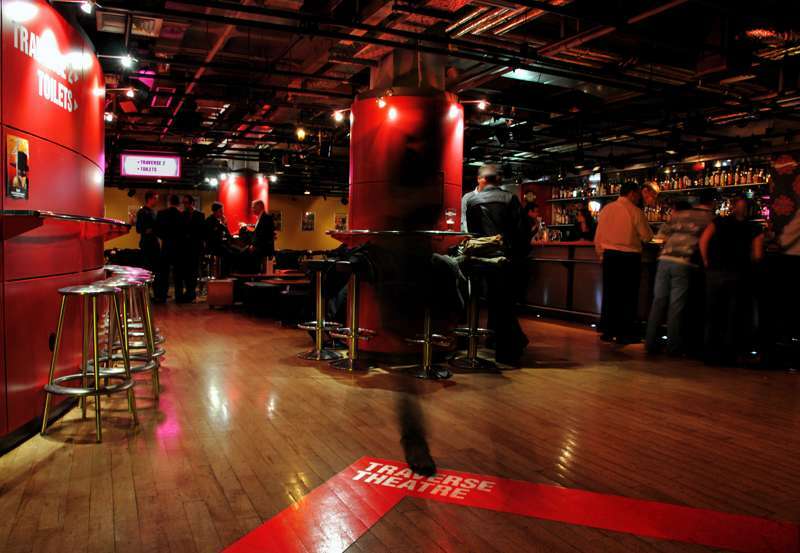 Cultural hideaway in one of the city's cultural hubs. 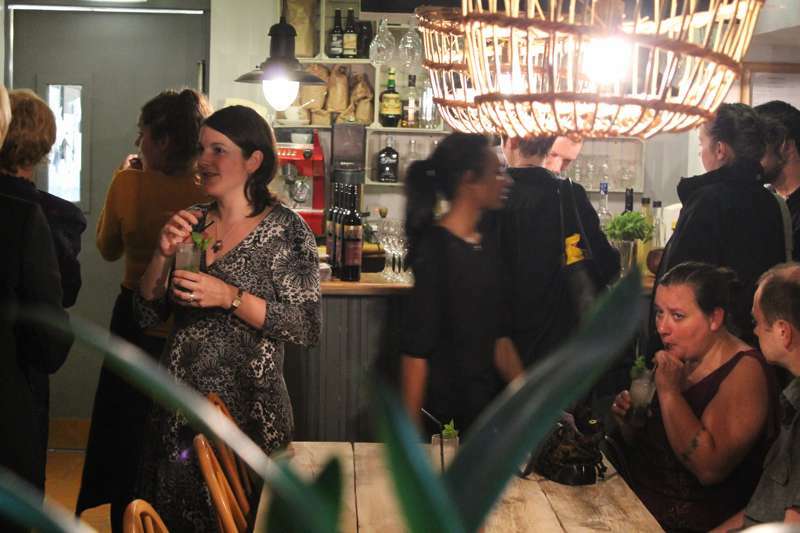 A bohemian venue that remains a bit of a lo-fi secret among students and chilled-out clubbers. 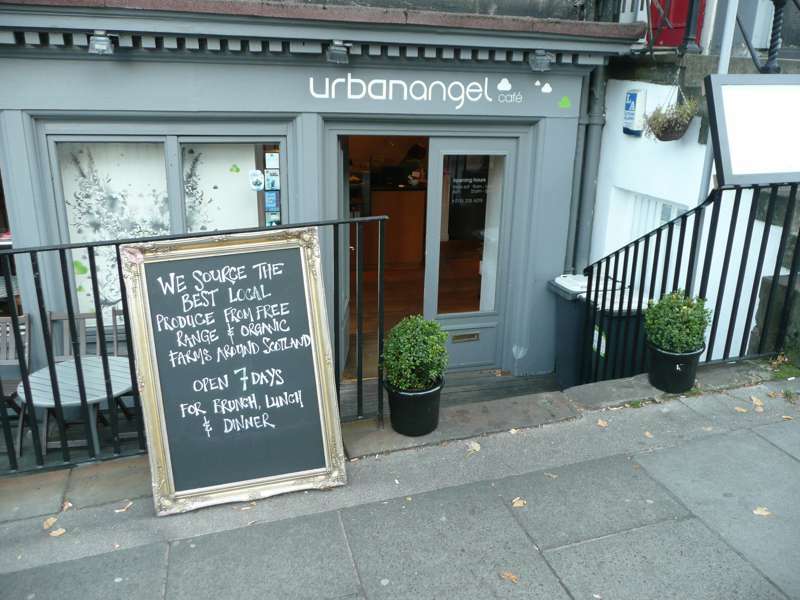 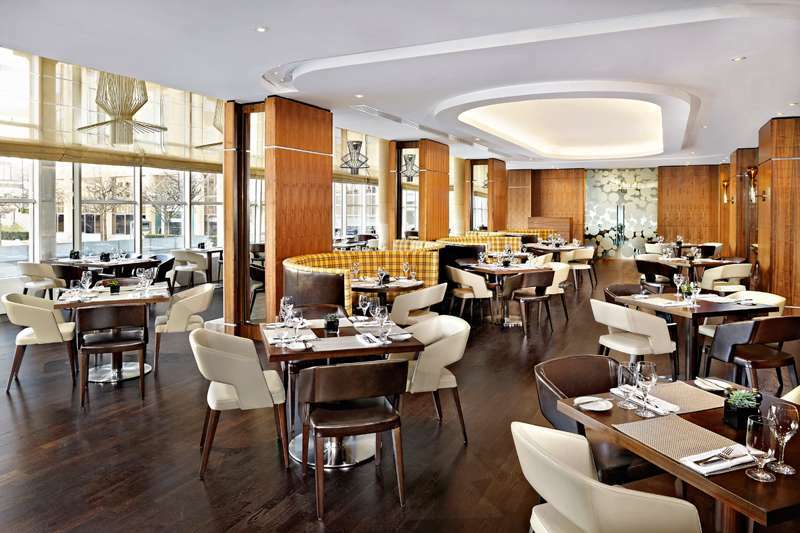 Urban Angel is at the forefront of an ethical attitude to eating in the capital. 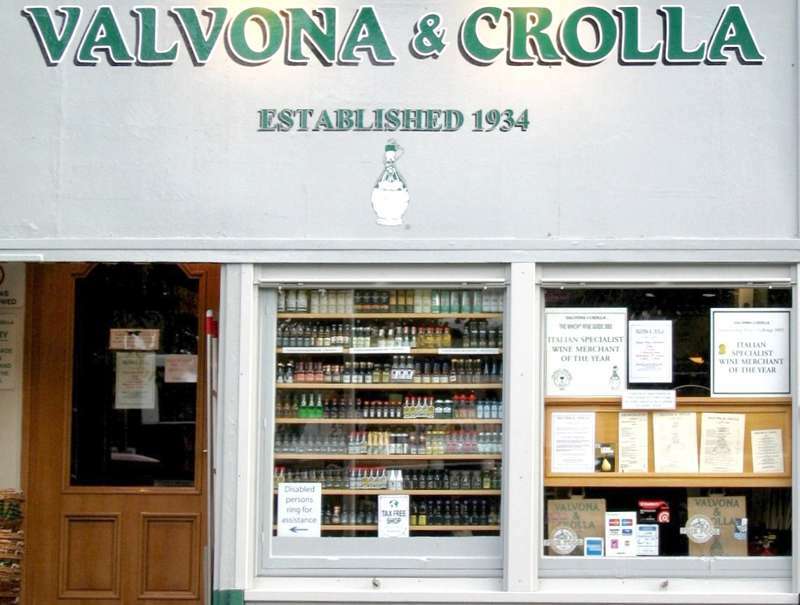 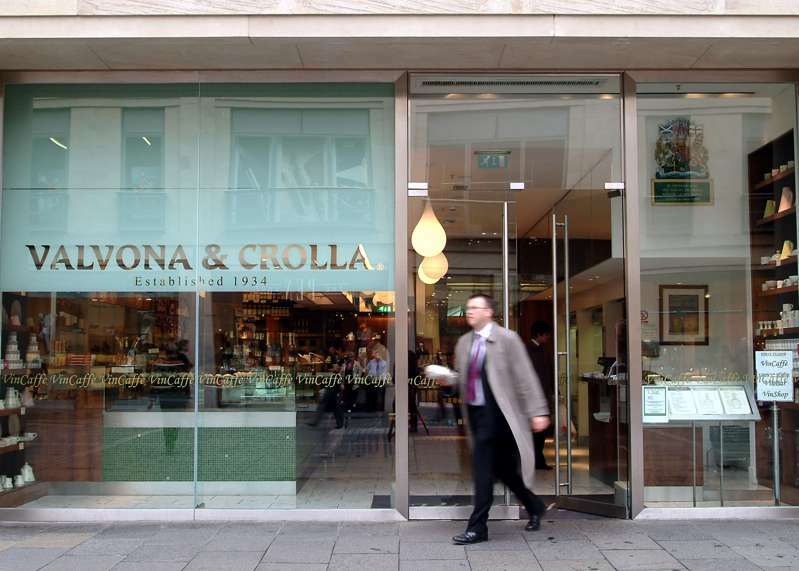 One of the UK's great Italian delis. 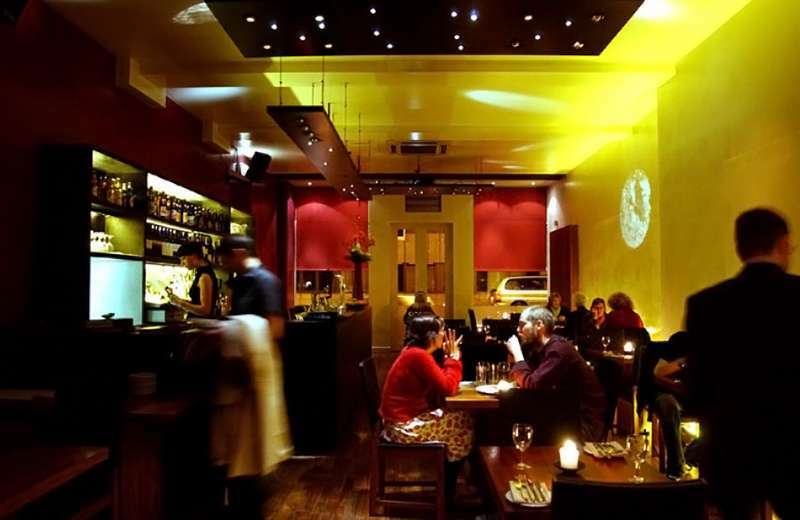 There's a Milanese slickness about this city centre venue, with an espresso bar on the ground floor and a wine bar and restaurant upstairs. 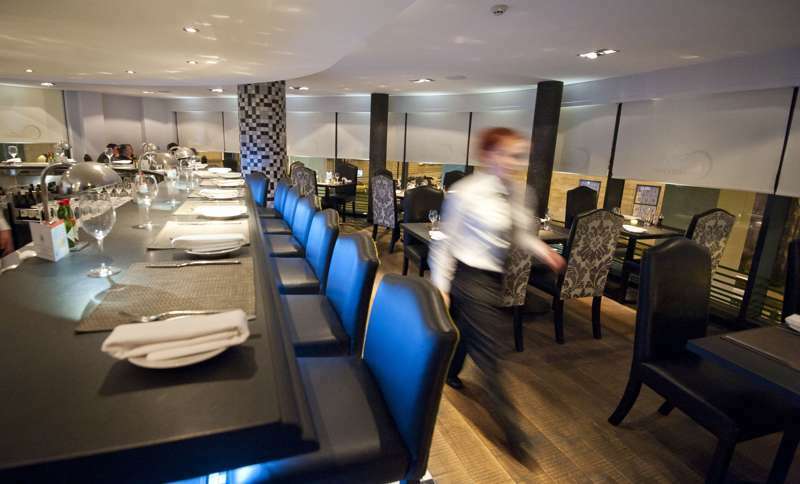 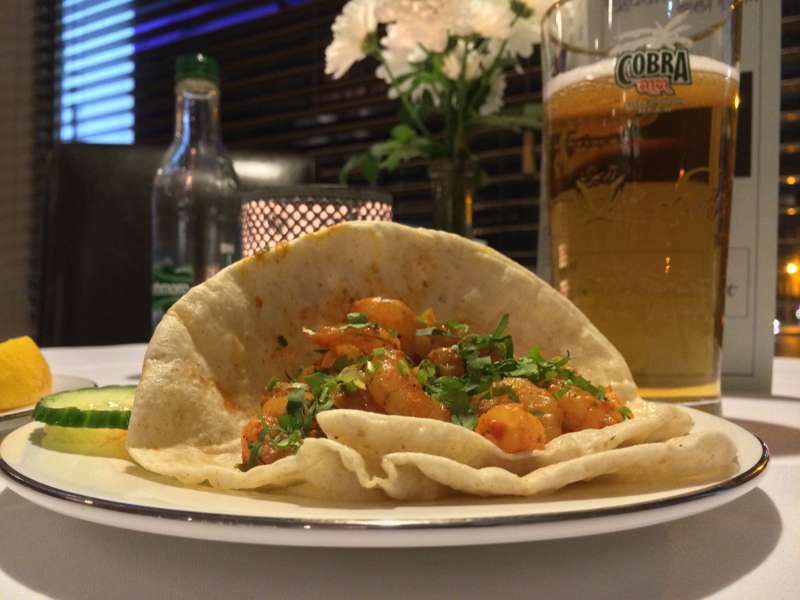 This bright, creative gem is a welcome addition to Edinburgh's Indian restaurants. 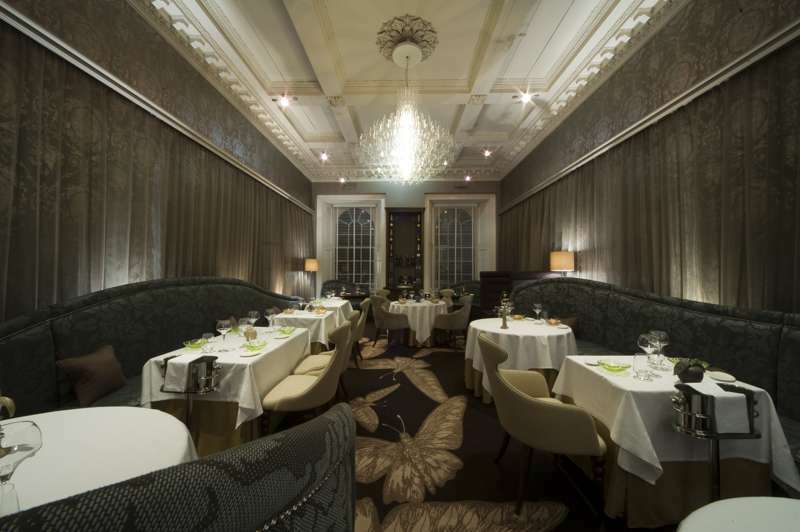 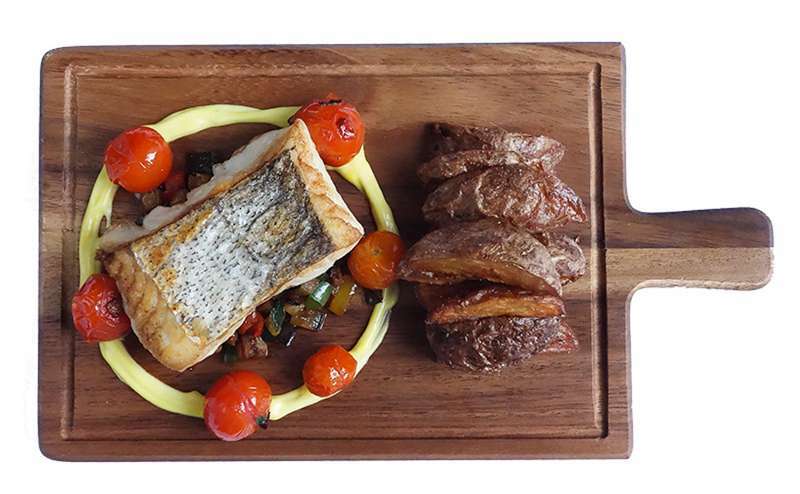 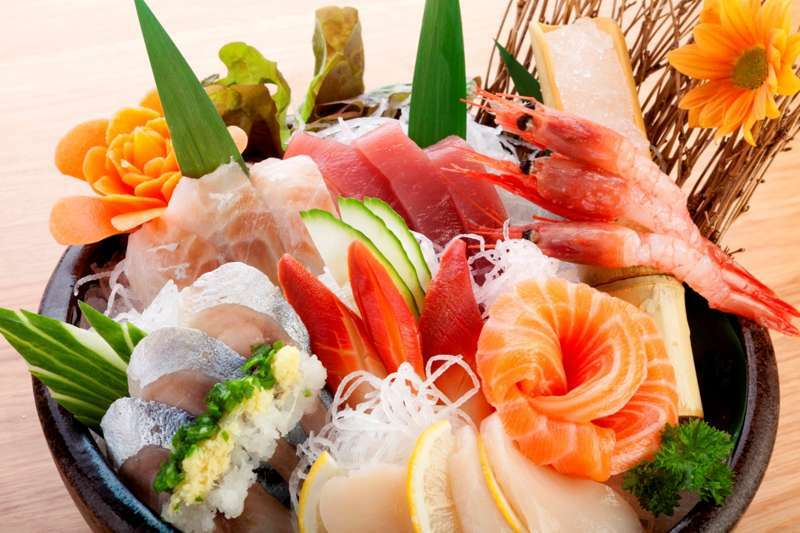 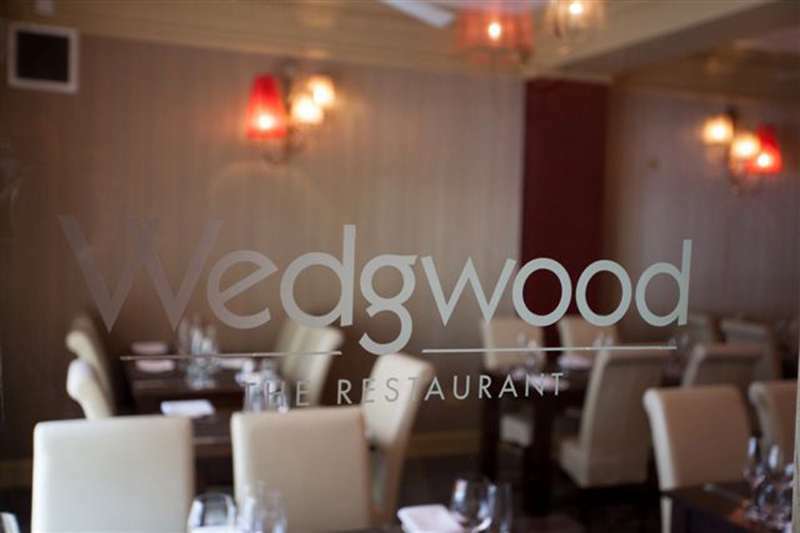 This superb chef is passionate about ingredients, cooking and unpretentious service. 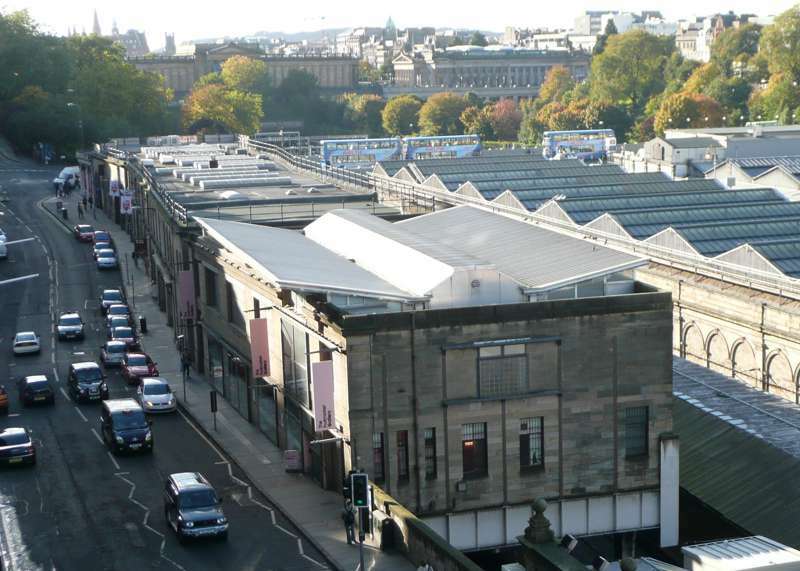 One of the best things about Edinburgh is that, despite being one of the UKs major cities, it is not suffocated by commercial giants and retains a unique atmosphere that is most noticeable when it comes to shopping. 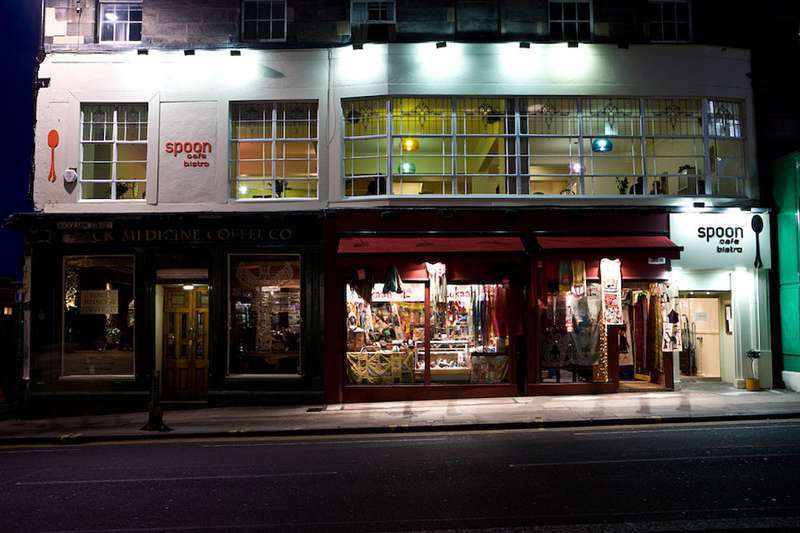 Designer brands sit cosy alongside independent shops and quirky boutiques all vying for you attention and all set in the narrow cobbled streets of this charming city. 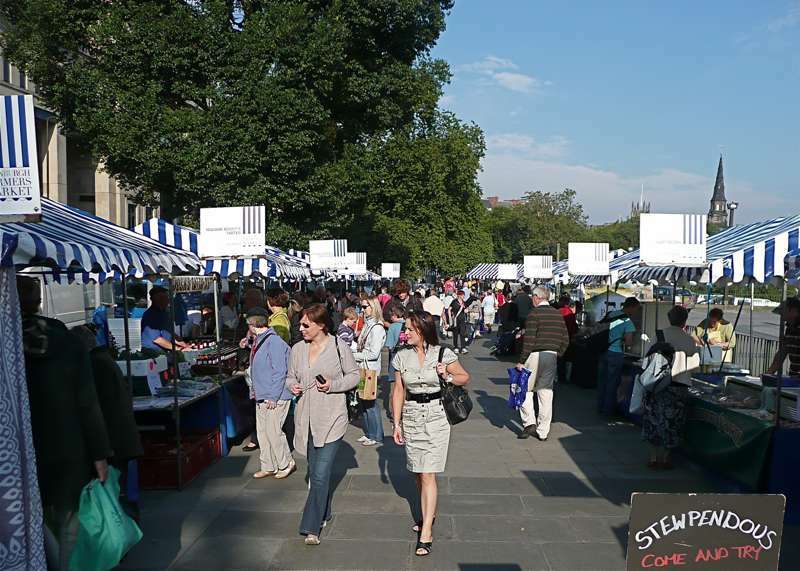 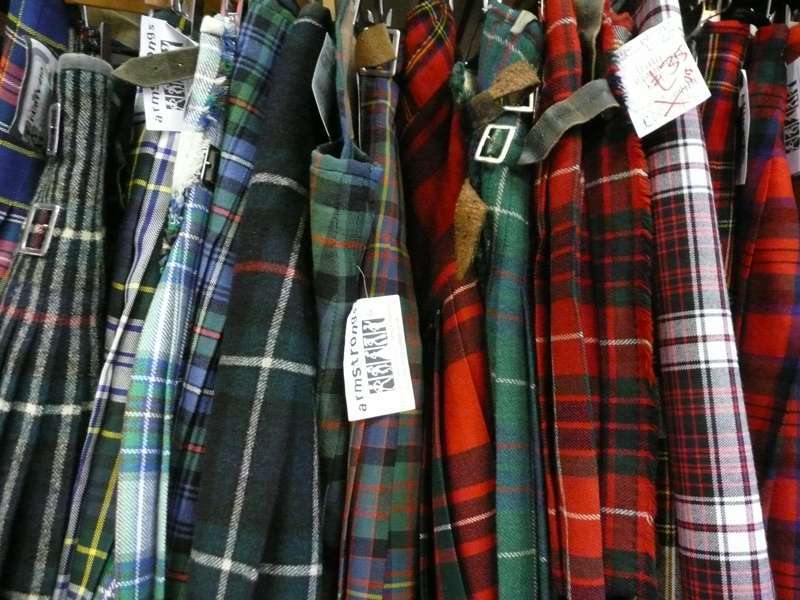 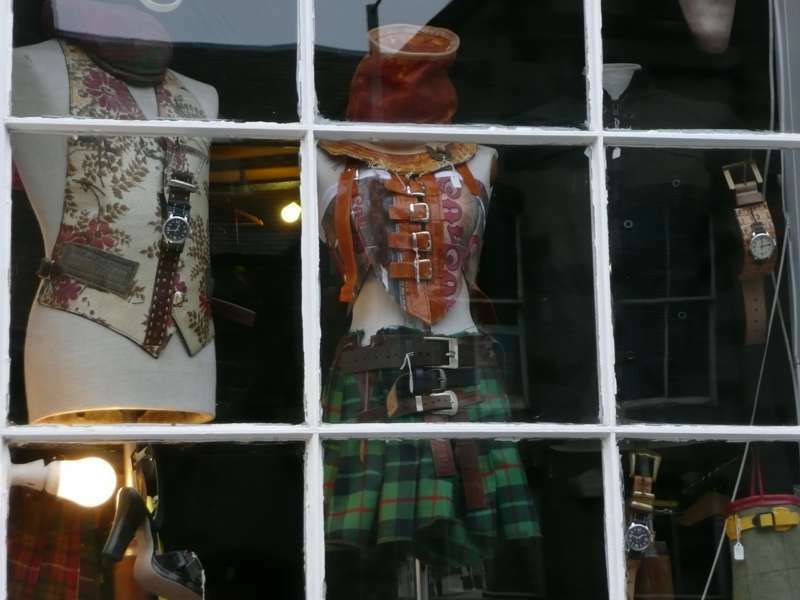 Whether you're looking for music, clothes, books or antiques it's all in Edinburgh, alongside those shops trying to sell you almost anything as long as it's tartan. 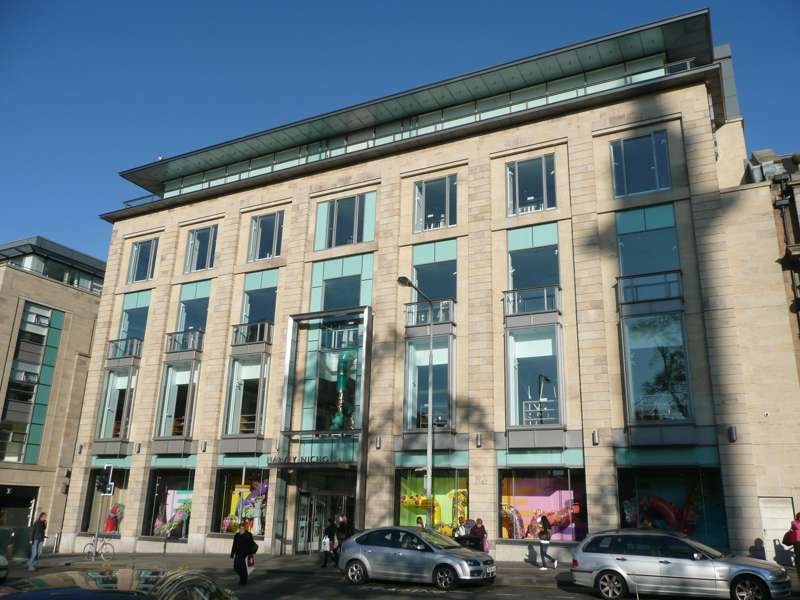 The city centre is the just the right size for walking around the shops, whilst still being big enough to allow healthy competition and numerous options. 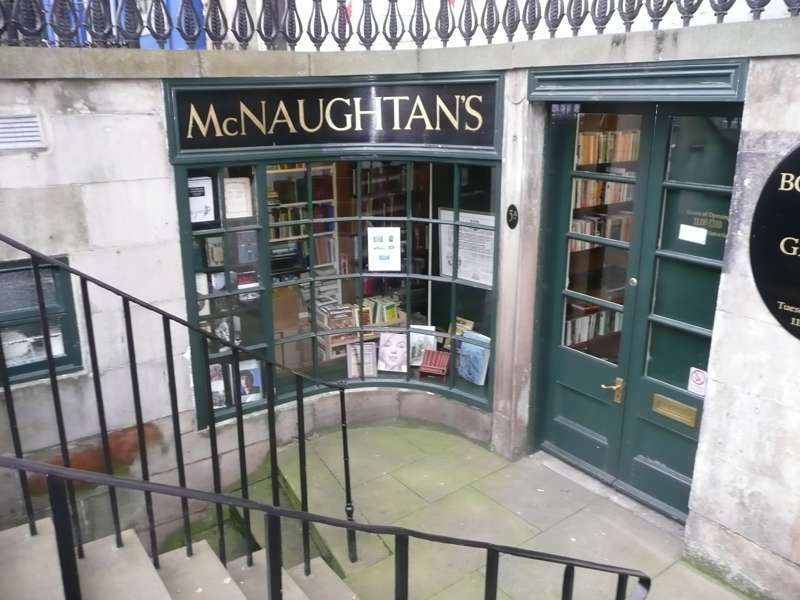 The most distinguished second-hand and antiquarian bookseller. 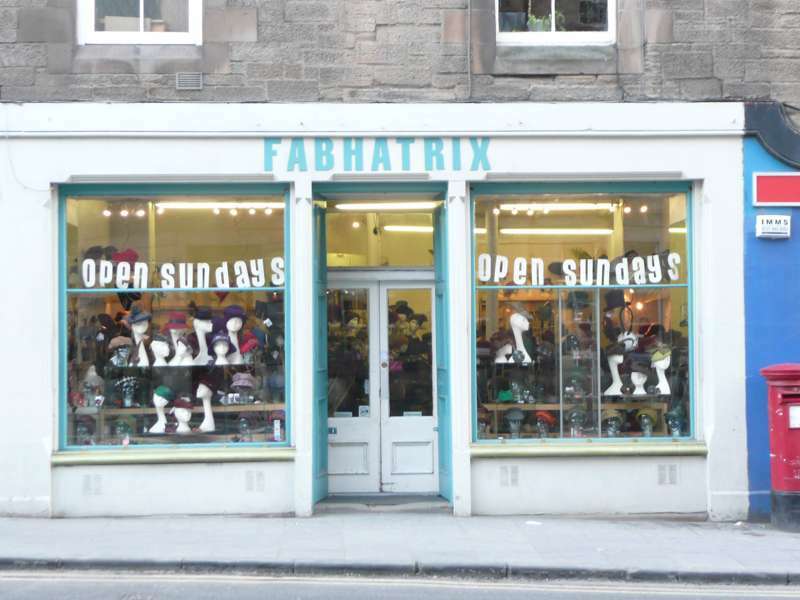 Funky, colourful, comfortable and stylish knitwear. 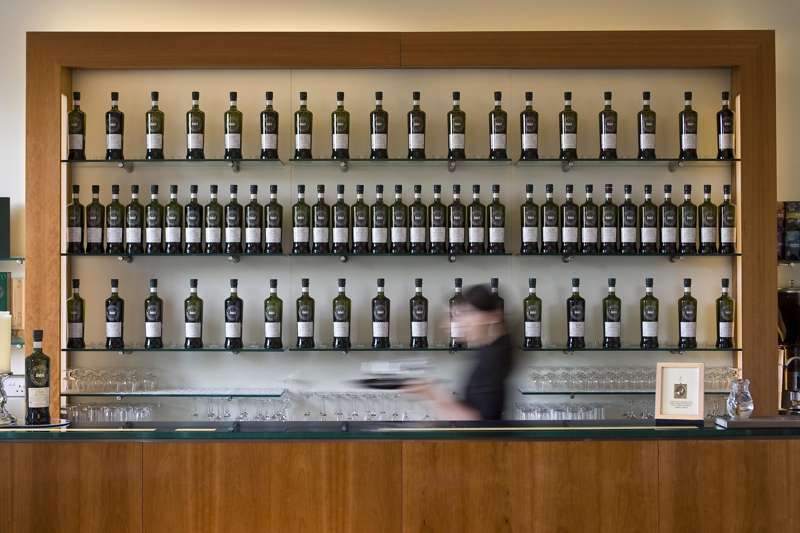 An essential stop for anyone interested in whisky. 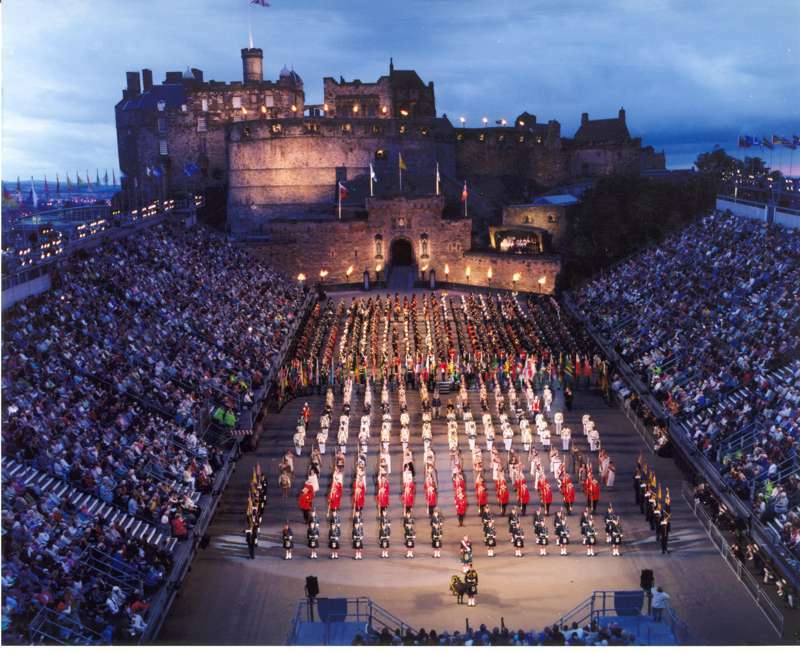 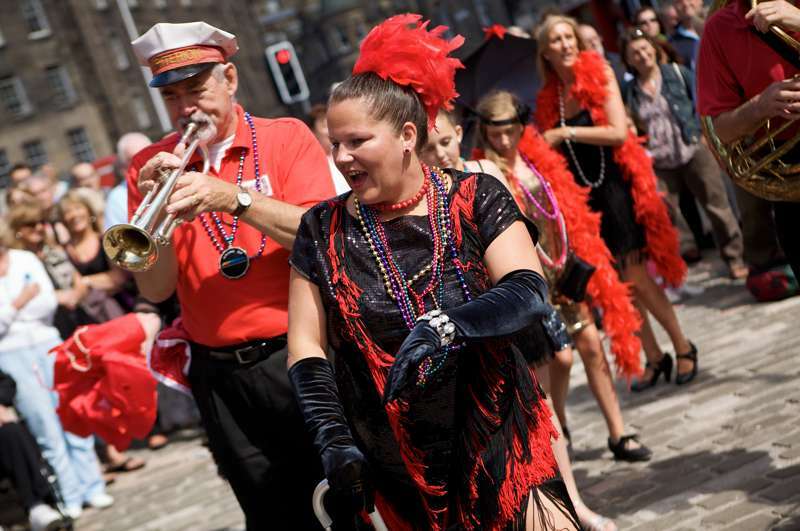 For most people Edinburgh is synonymous with theatre, comedy and the arts, with the Edinburgh Festival drawing in over 2.6 million visitors every August. 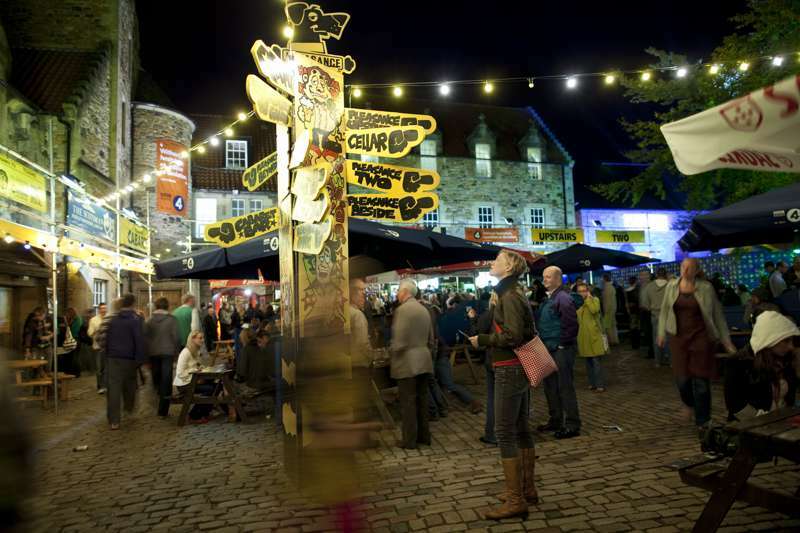 Though busy, this is still a fantastic time of year to visit the city, which is transformed into a world of entertainment with something interesting going on wherever you look. 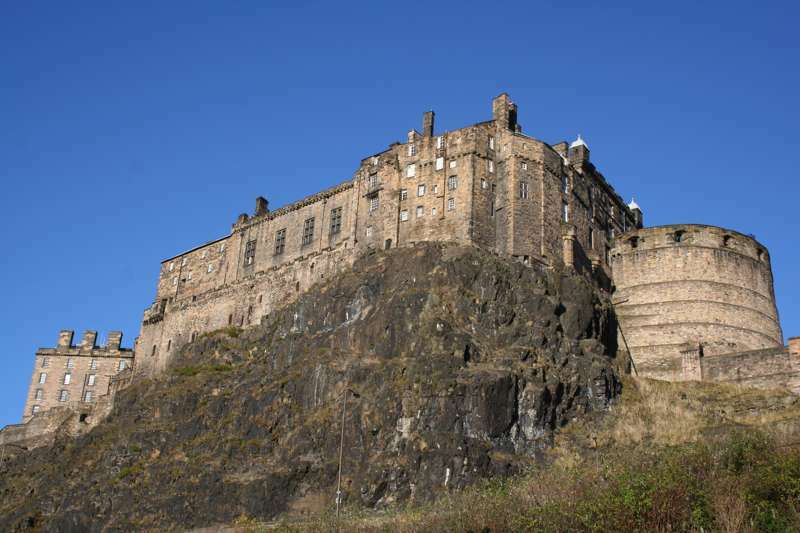 Beyond the arts, Edinburgh is a city steeped in history and a good way to start any visit is with a gentle stroll down the Royal Mile, the cobbled thoroughfare that runs from Edinburgh Castle to the Palace of Holyroodhouse. 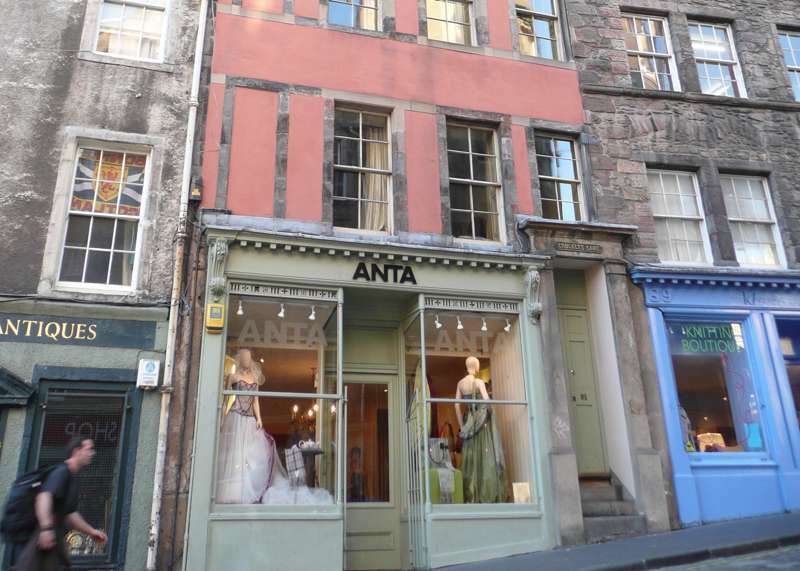 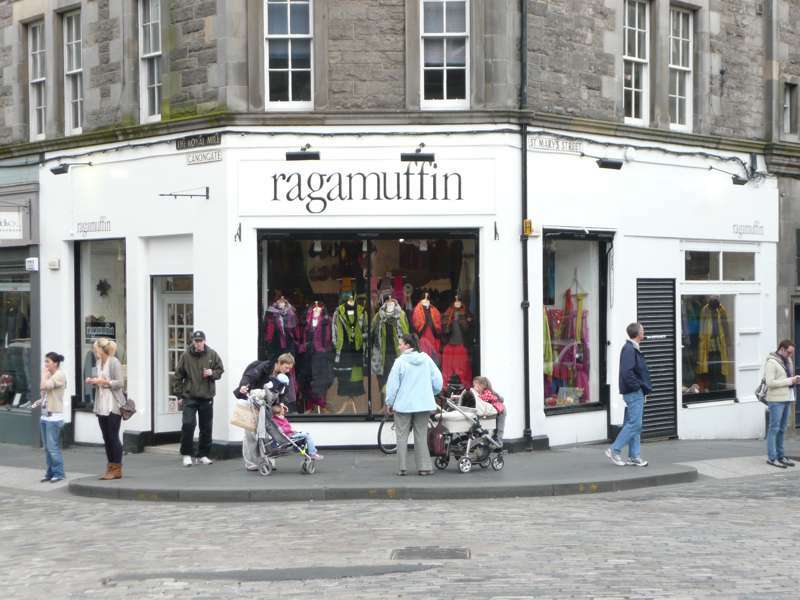 Those who set off to walk along the Royal Mile will not get far without stopping, however, since this central street is lined with shops and sights to slow you down. 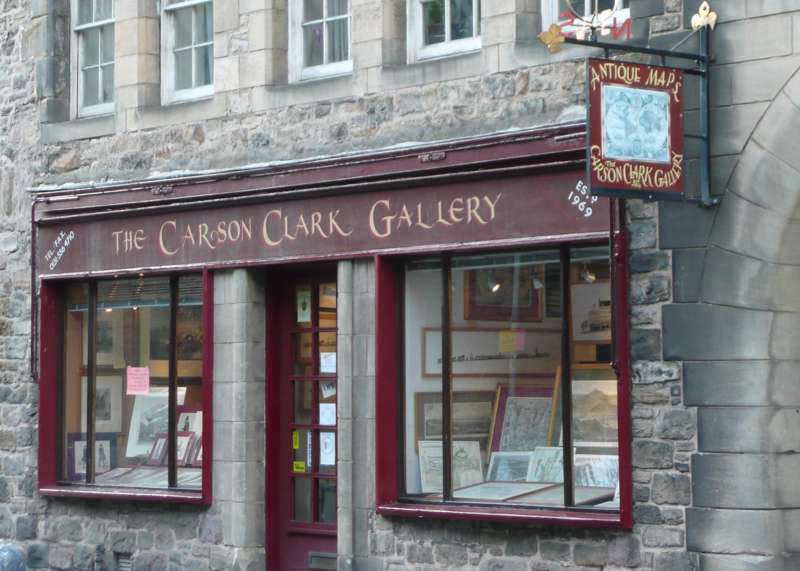 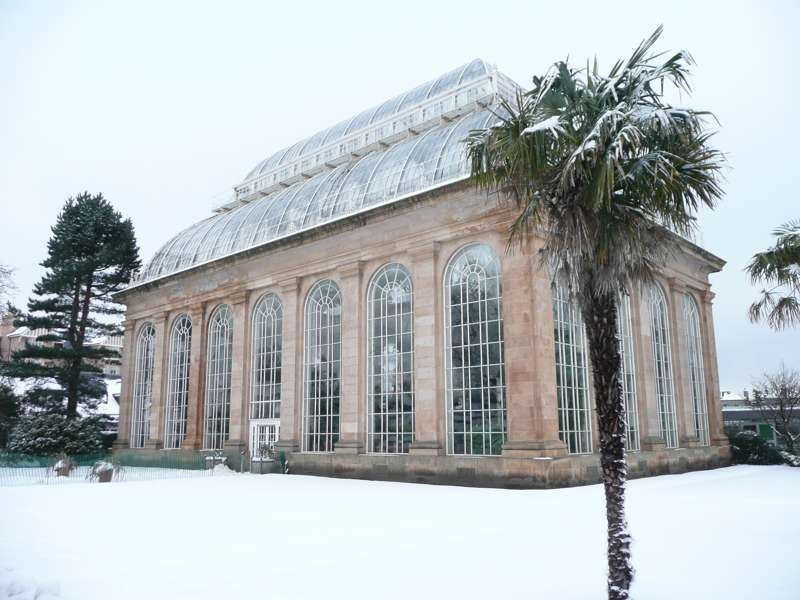 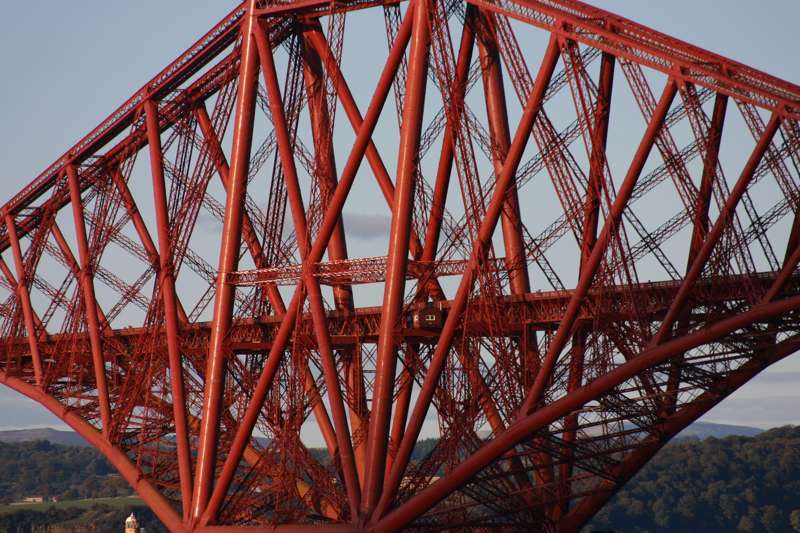 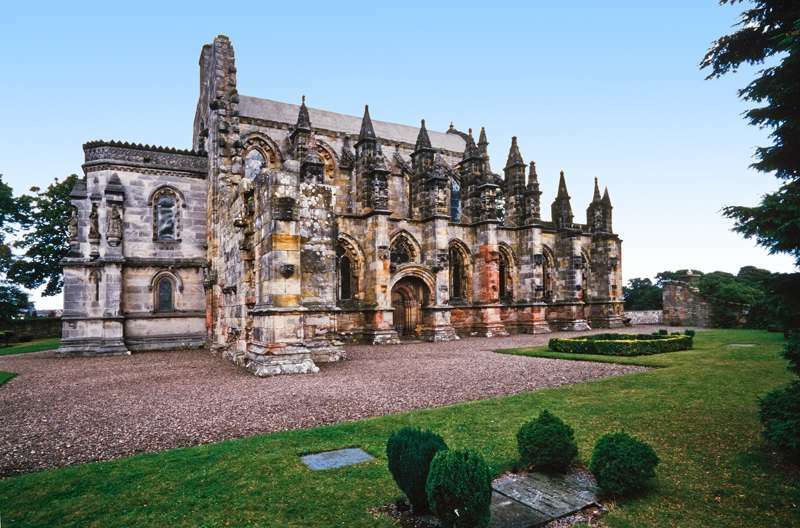 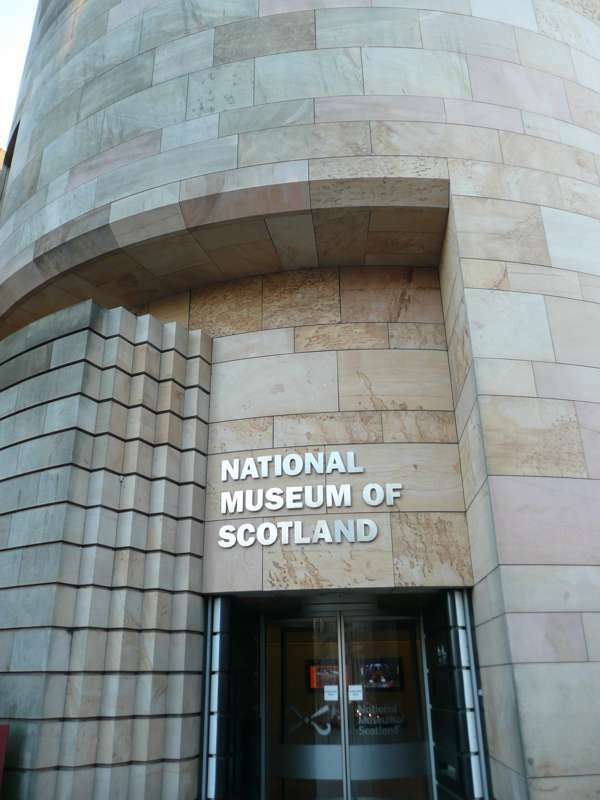 The city is home to Scotland's National Gallery, National Museum and National Gallery of Modern Art, as well as a handful of other independent and equally fascinating museums. 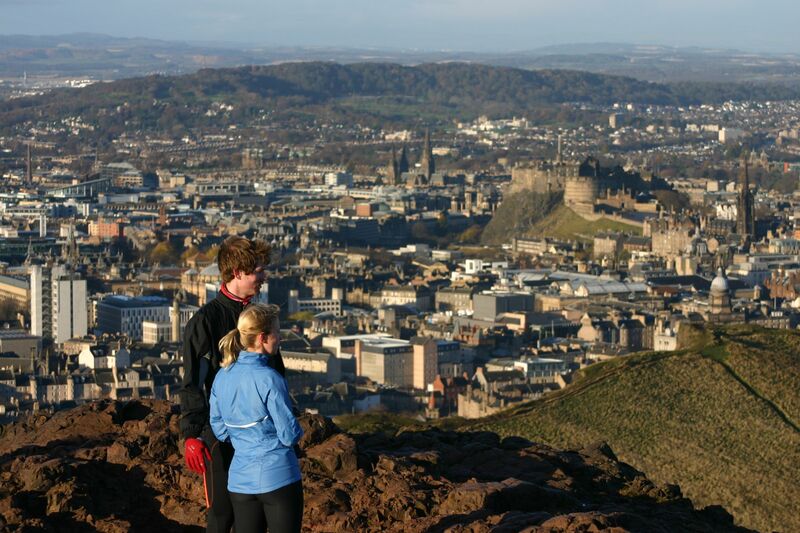 On a nice day the best views of the city can be had by a short sharp hike up Arthurs Seat, a former volcano that now forms the perfect viewing platform. 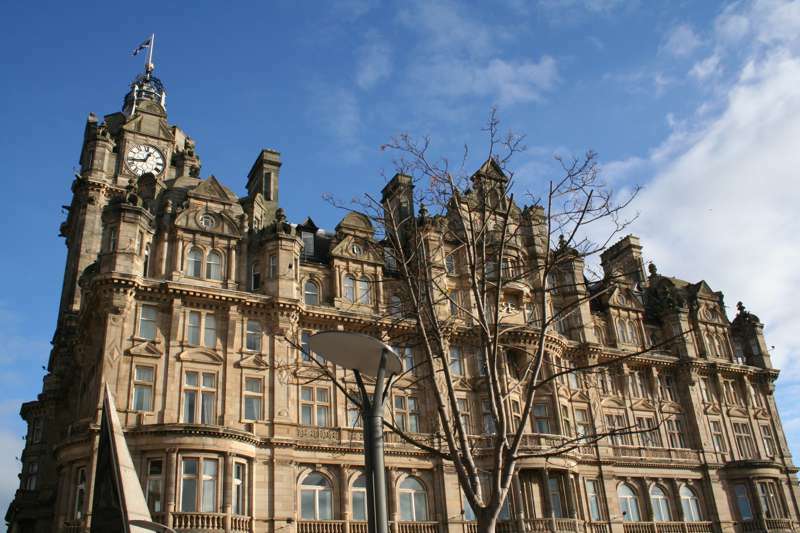 Robert Adam's elegant 18th century building is the finest on Princes Street. 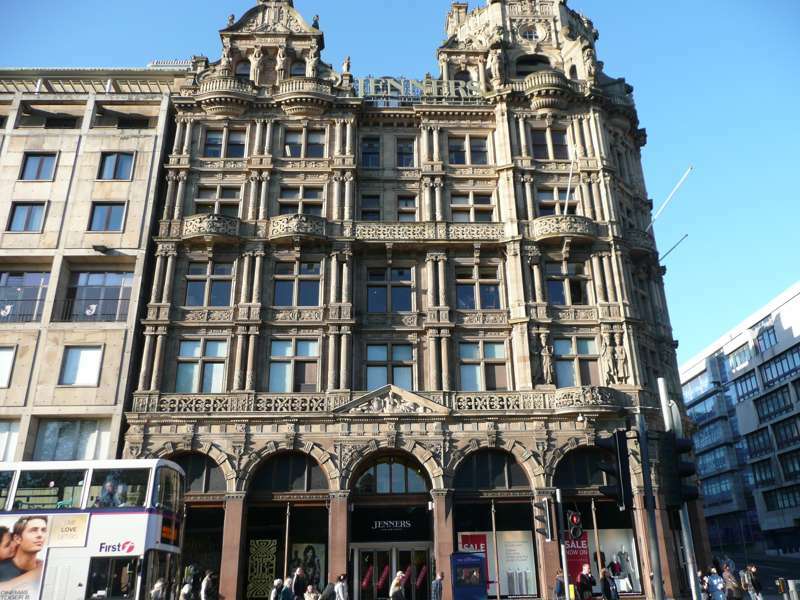 George Street was designed to be the grand central parade of the New Town. 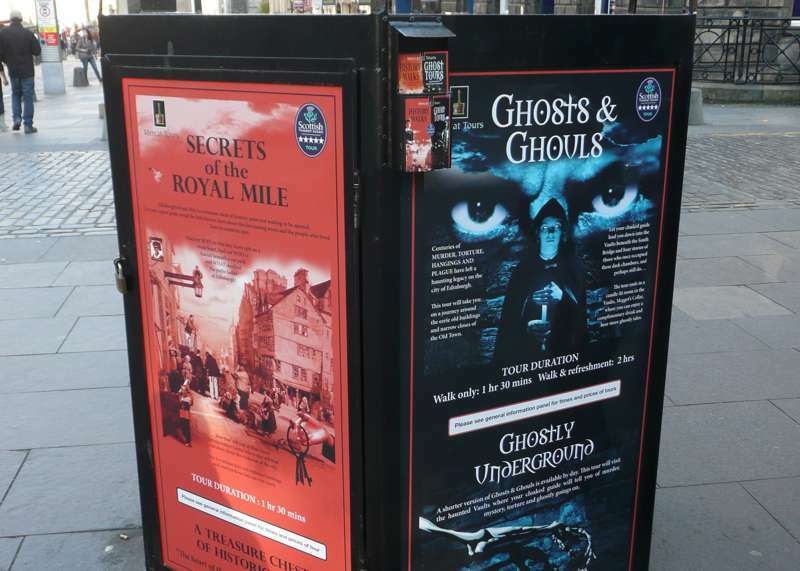 The medieval Old Town with its nooks and crannies is ideal for ghost stories and tours. 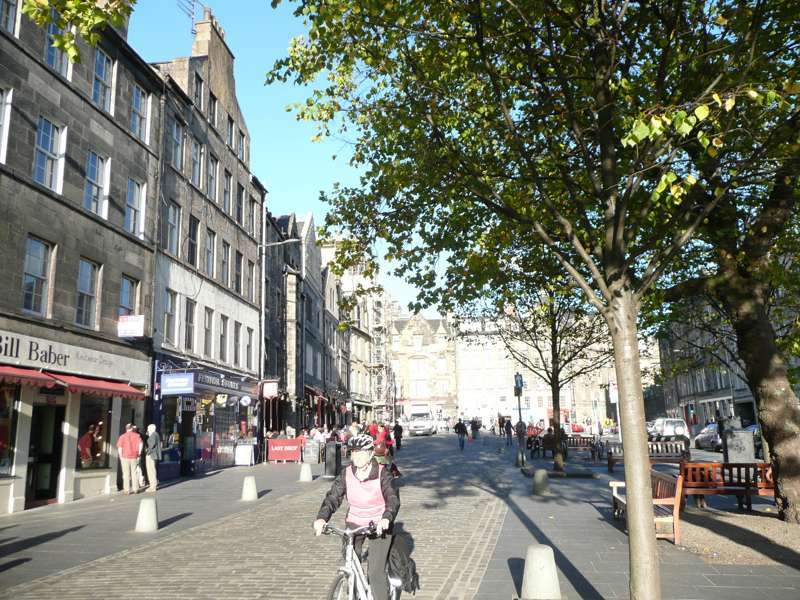 The Grassmarket was Edinburgh's market square in times past. 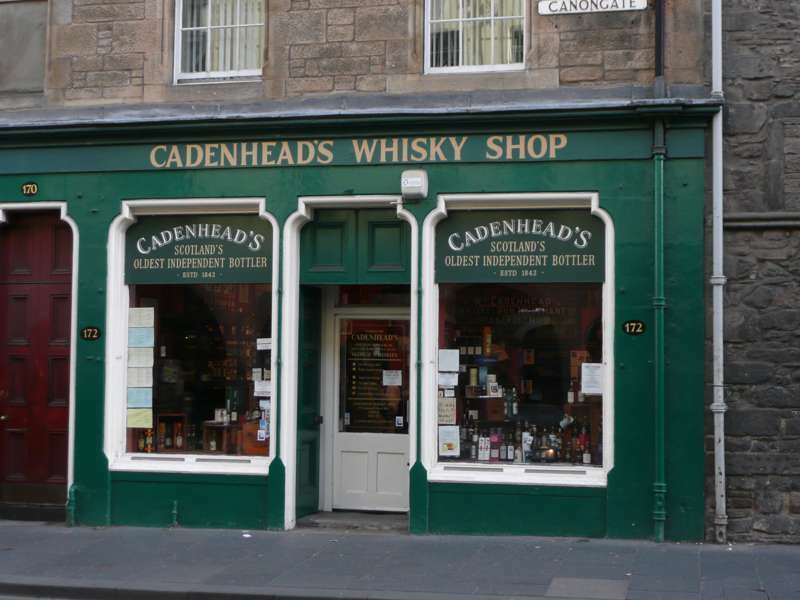 Headquarters of the world famous local boutique beers. 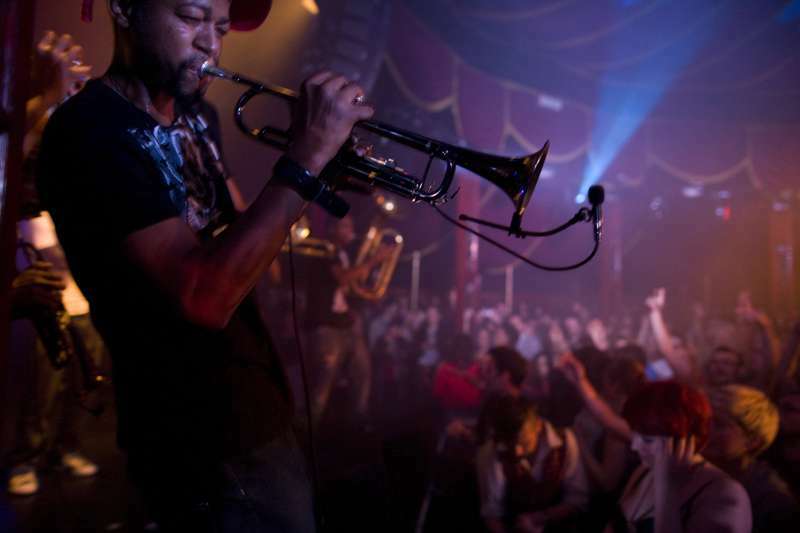 Music at the world's biggest arts festival. 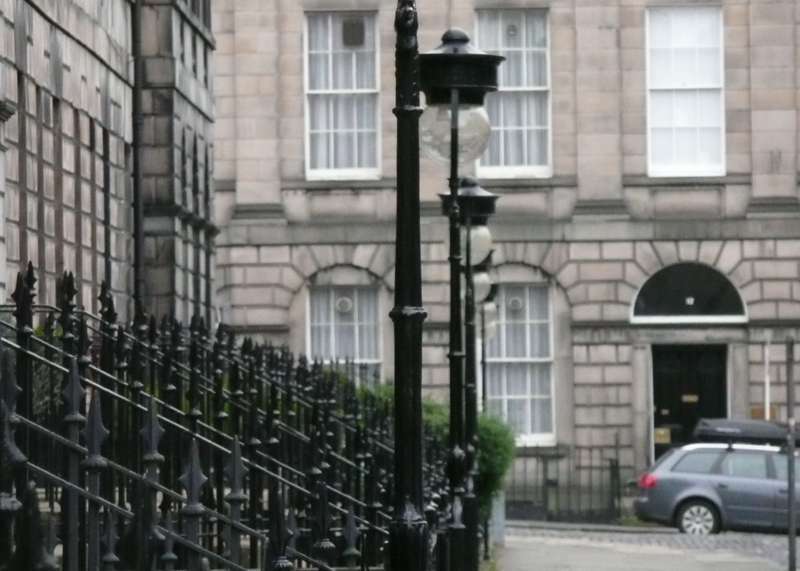 Edinburgh's 'New Town', in fact well over 200 years old. 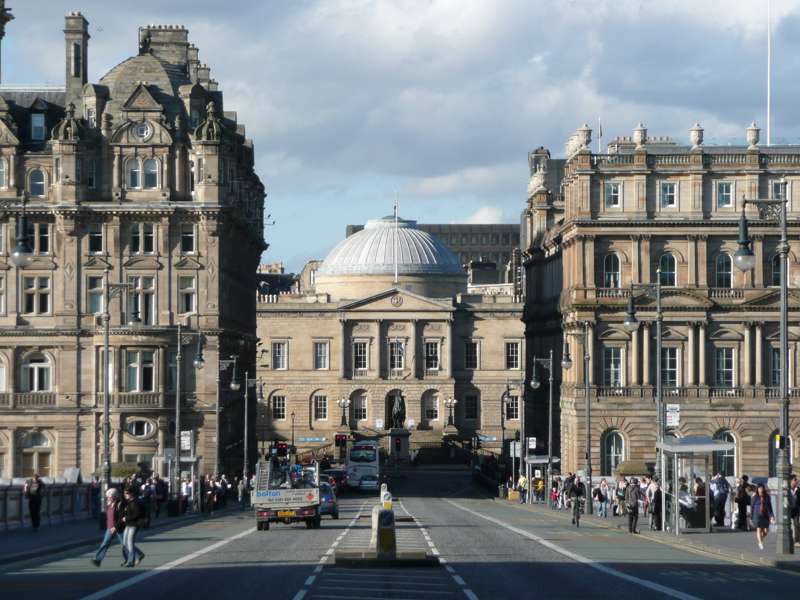 Princes Street is one of Scotland's great thoroughfares. 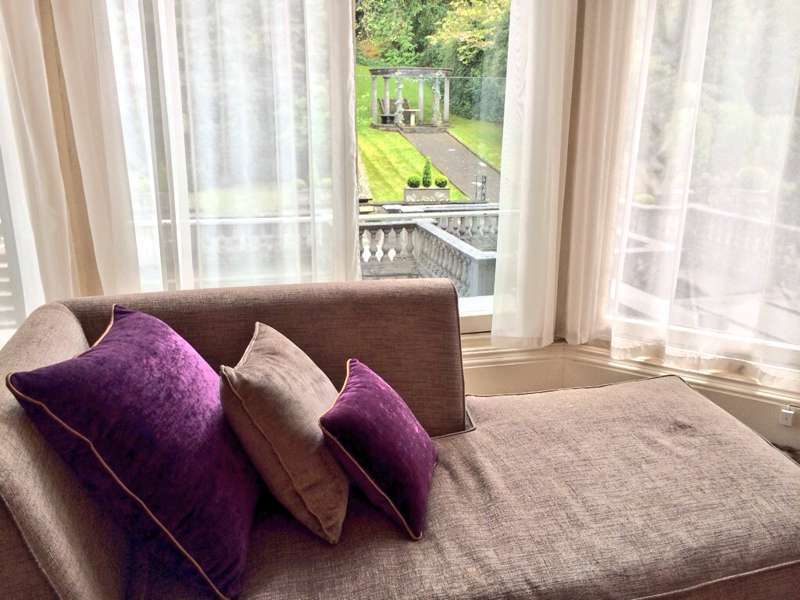 Thirty hectares of gardens, mature trees and exotic vegetation. 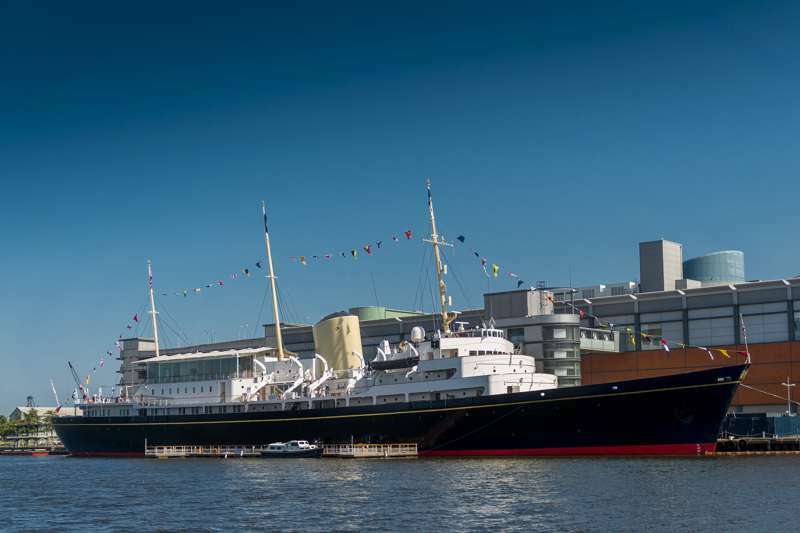 One of the world's most famous ships, the Royal Yacht Britannia. 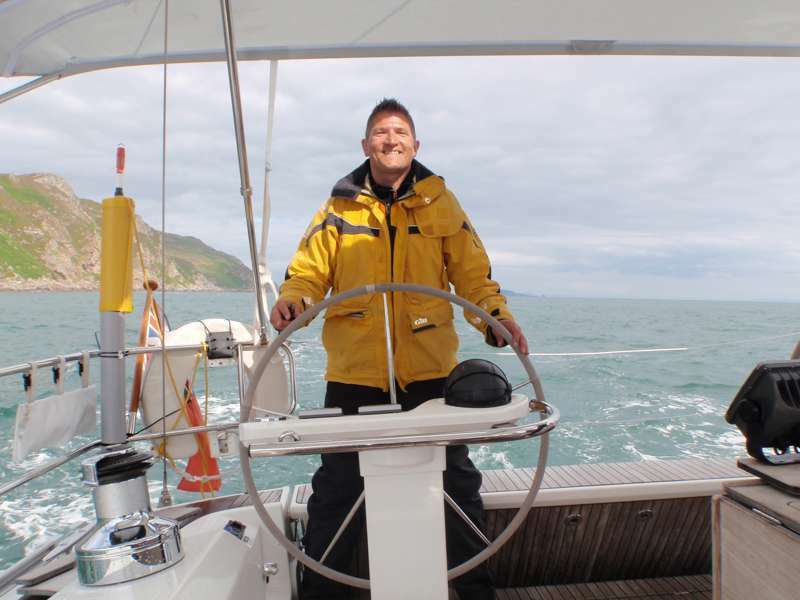 RYA Scotland are the go to guys for getting out on the waters sailing in Scotland. 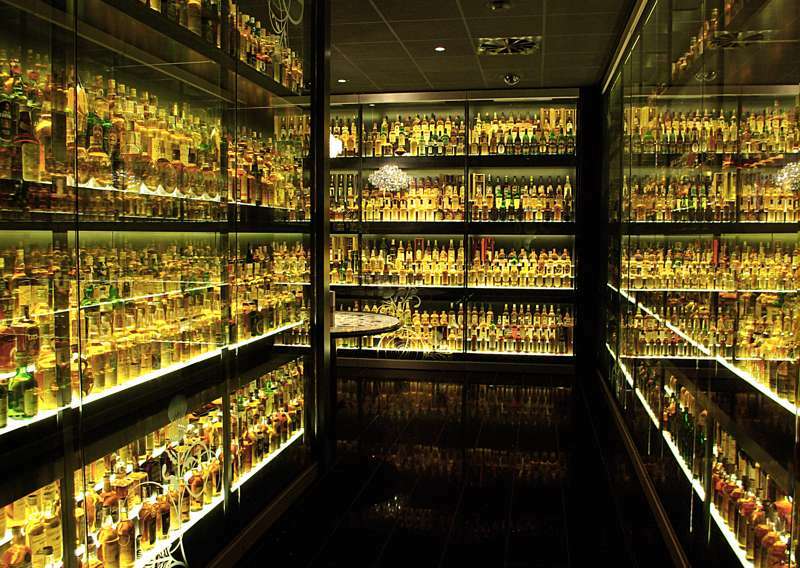 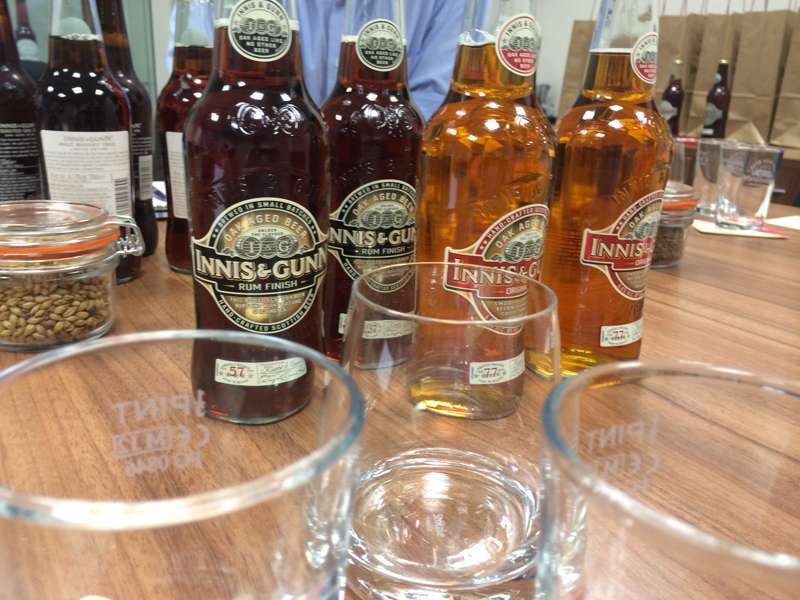 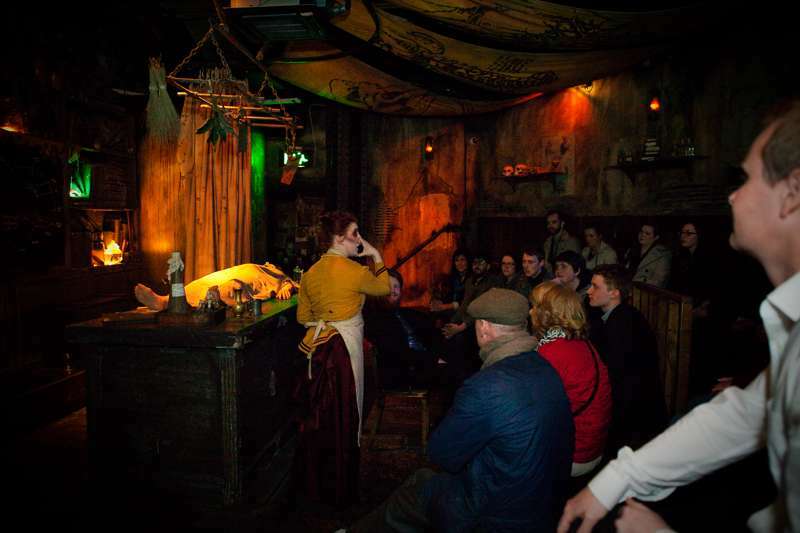 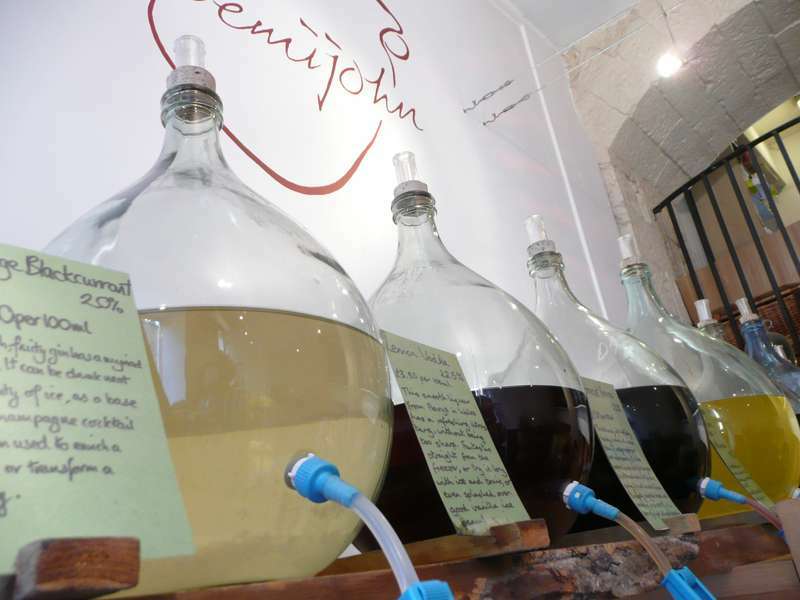 Edinburgh's Best and Most Fun Whisky Experience. 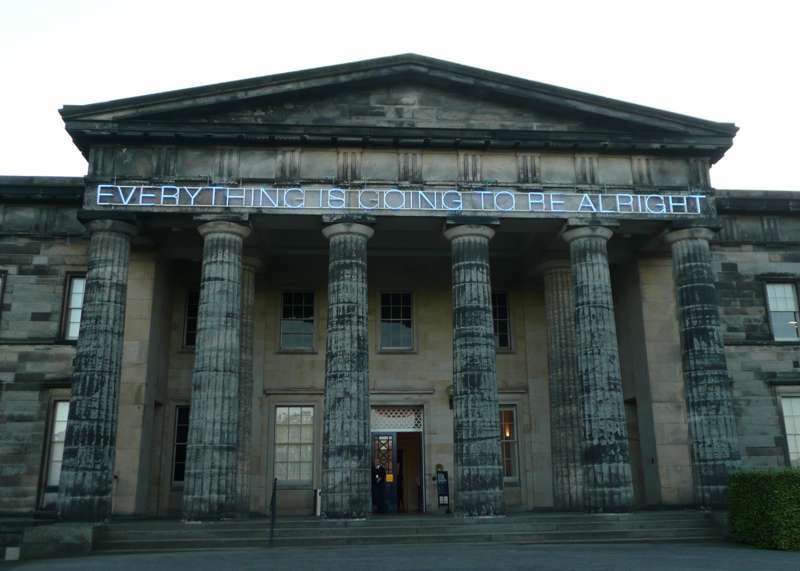 The Scottish National Gallery of Modern Art, housed in a dramatic neo-classical building. 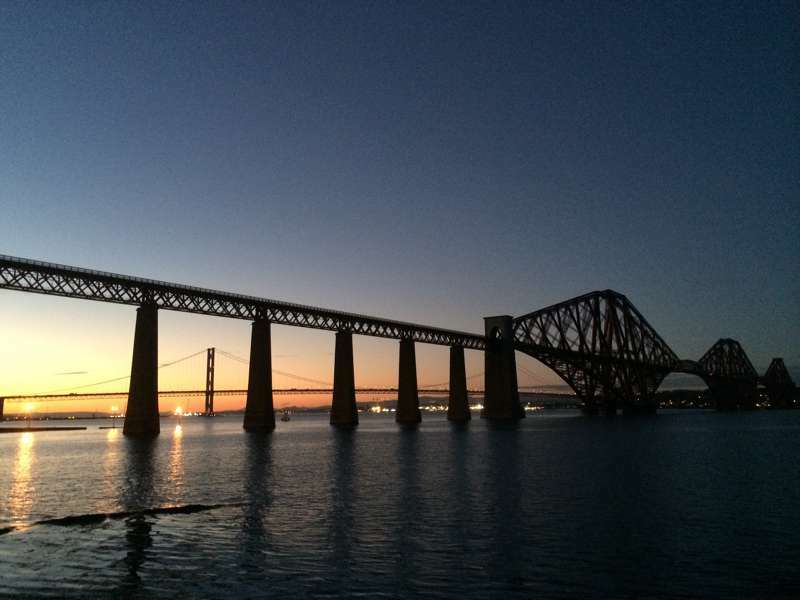 Picturesque waterfront suburb coasting a historic High Street, cosy pubs, decent restaurants and epic views of the Forth Bridges. 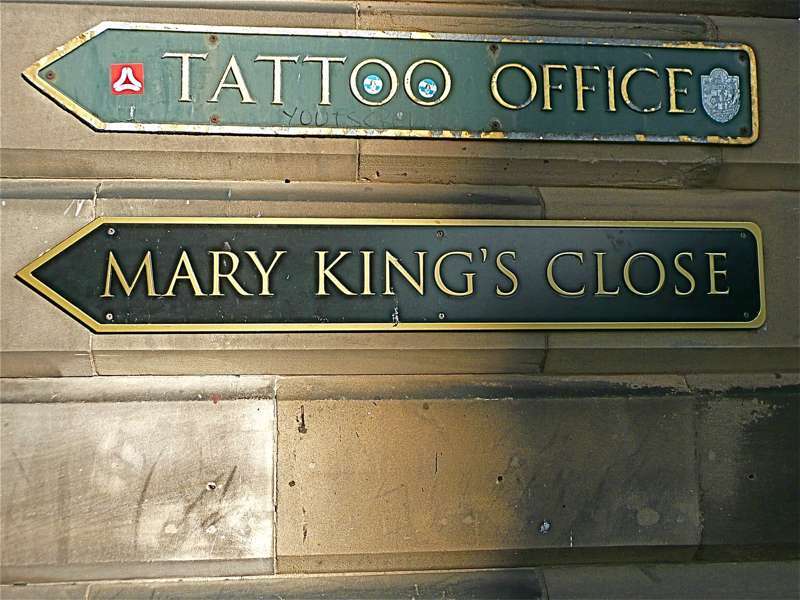 Set right on the Royal Mile, dominating Parliament Square. 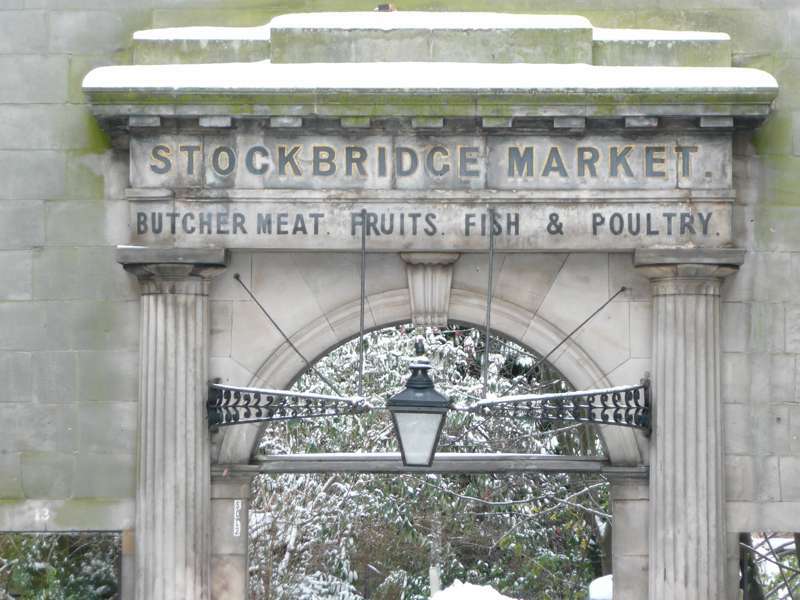 Stockbridge is often described as an urban village. 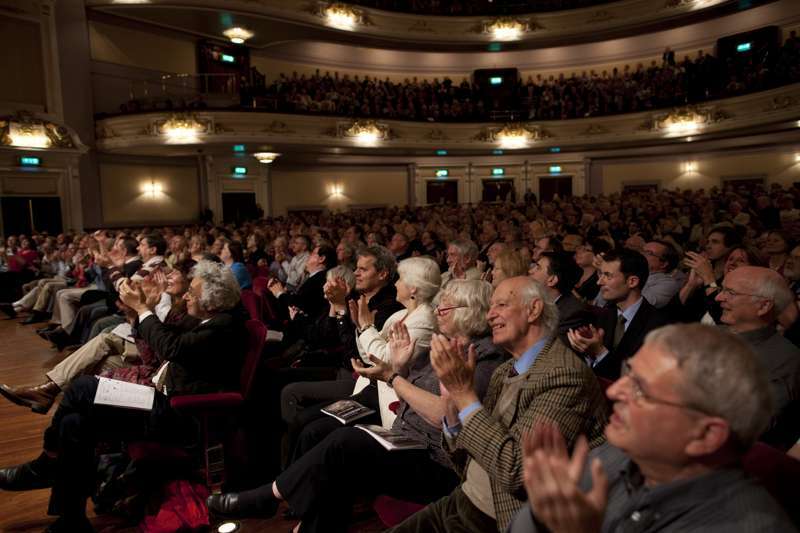 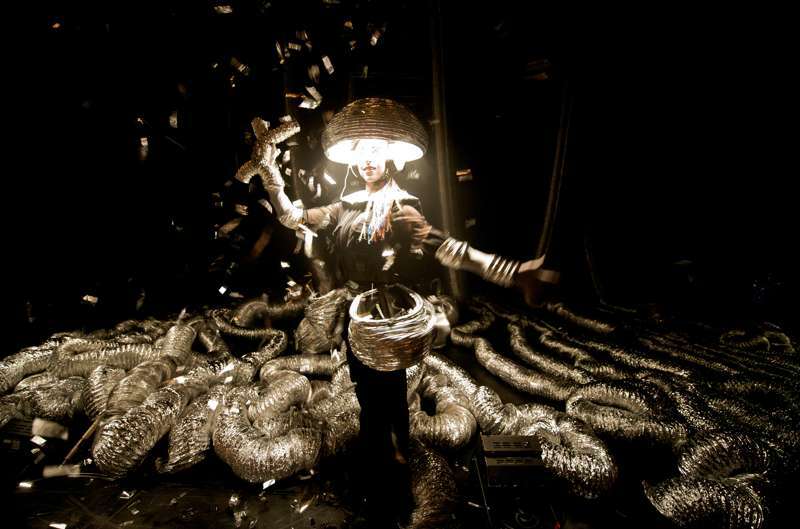 Theatre is the largest single element of the Fringe. 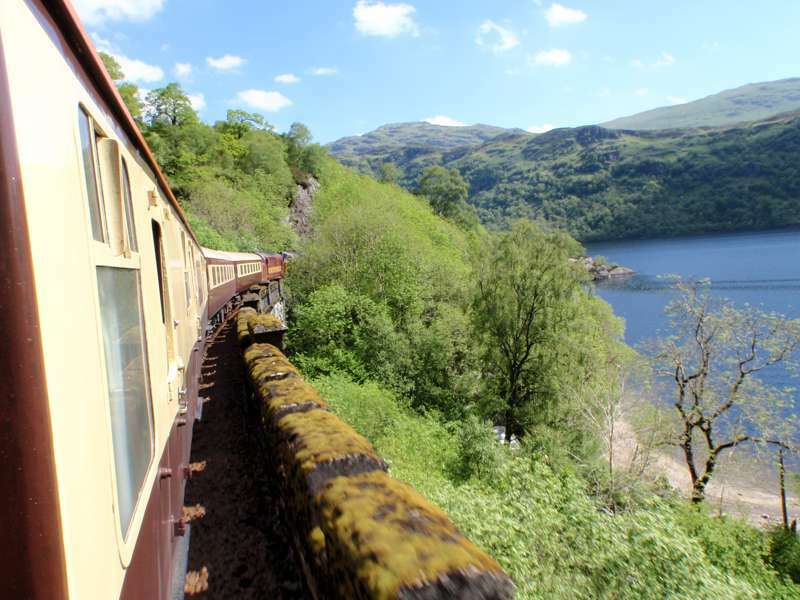 If you fancy a slice of rail luxury join Orient Express' Northern Belle in Scotland for a day trip. 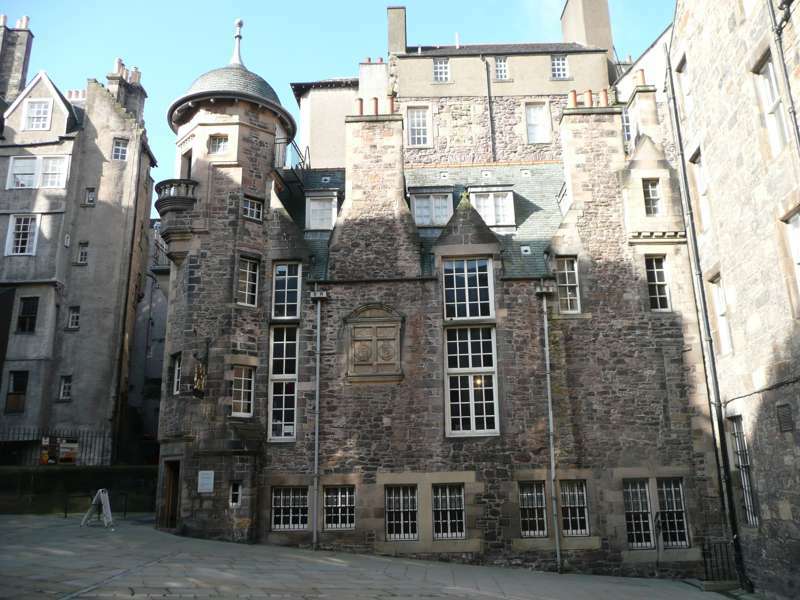 The narrow, sloping, cobbled thoroughfare running from the entrance of Edinburgh Castle to the gates of the Palace of Holyroodhouse. 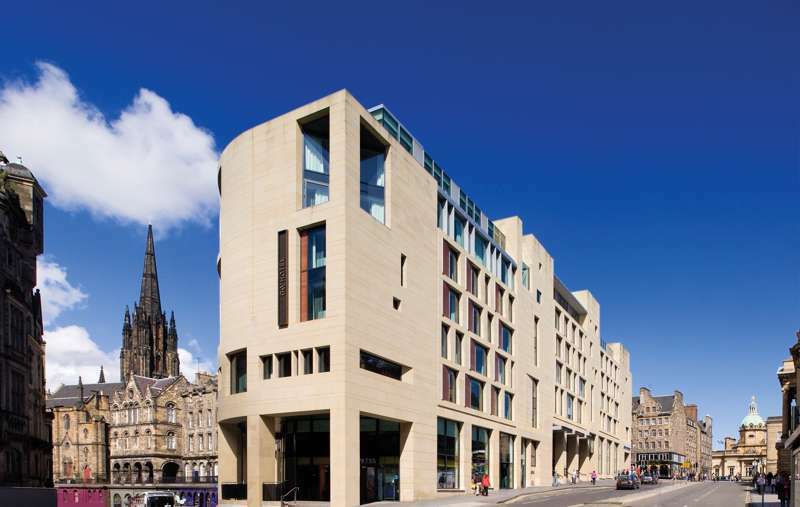 Enric Miralles' enigmatic collection of buildings divides opinion. 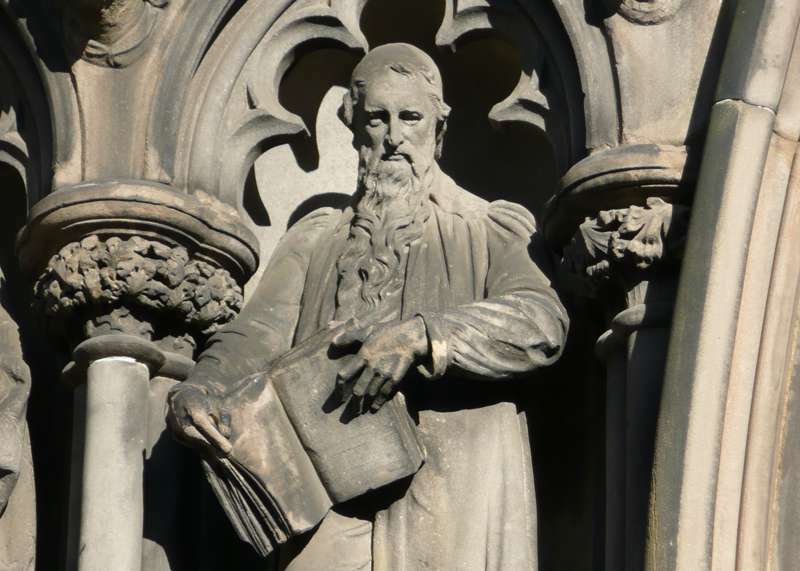 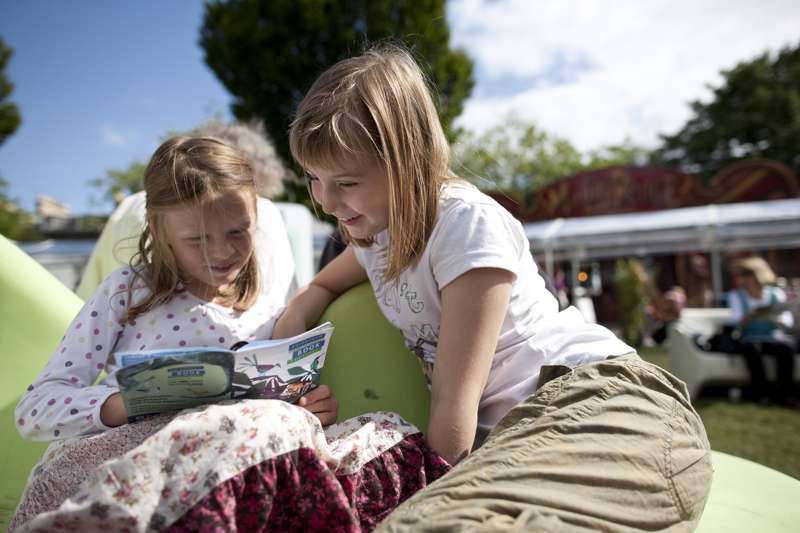 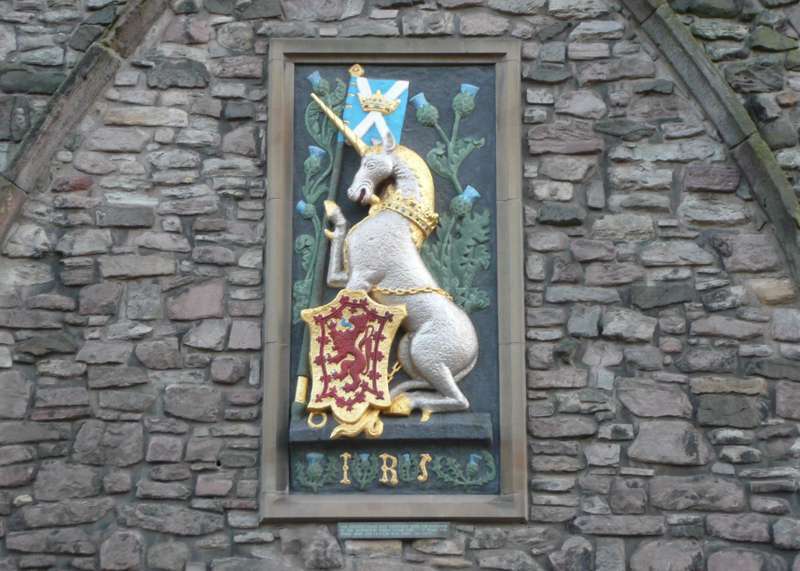 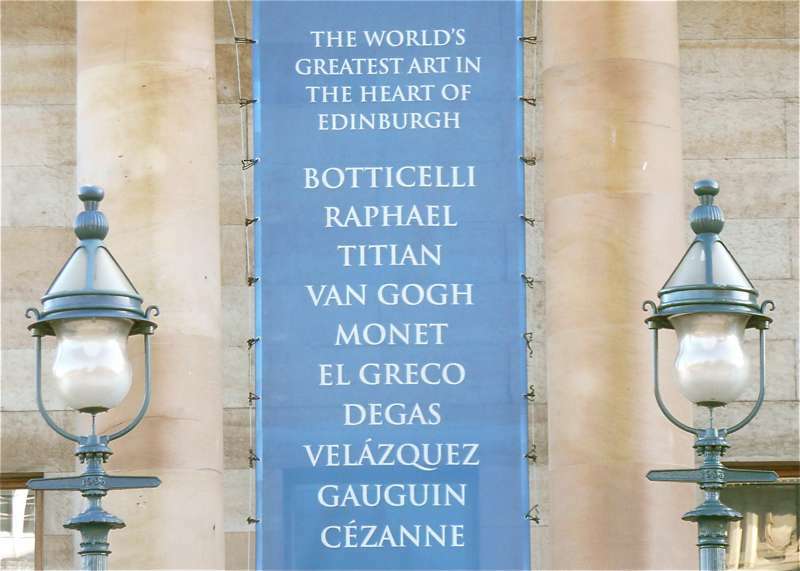 Edinburgh's status as the first ever UNESCO World City of Literature is celebrated here. 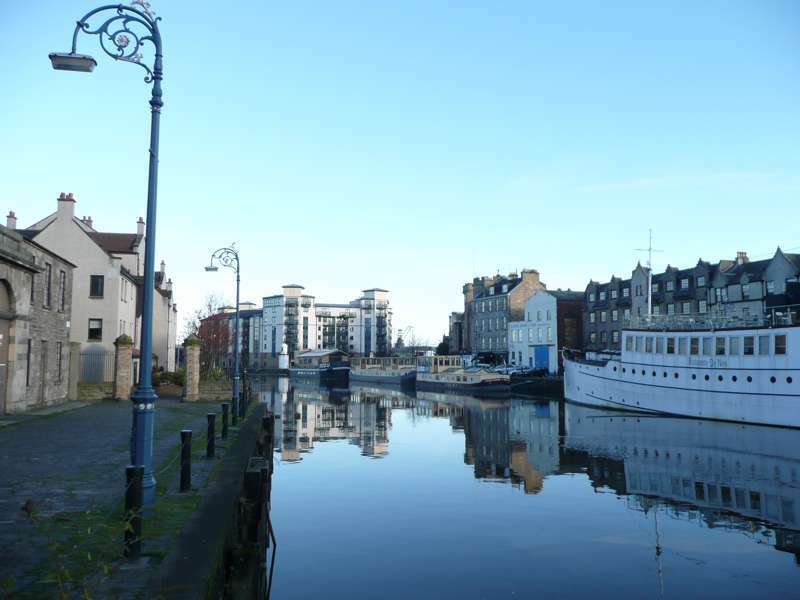 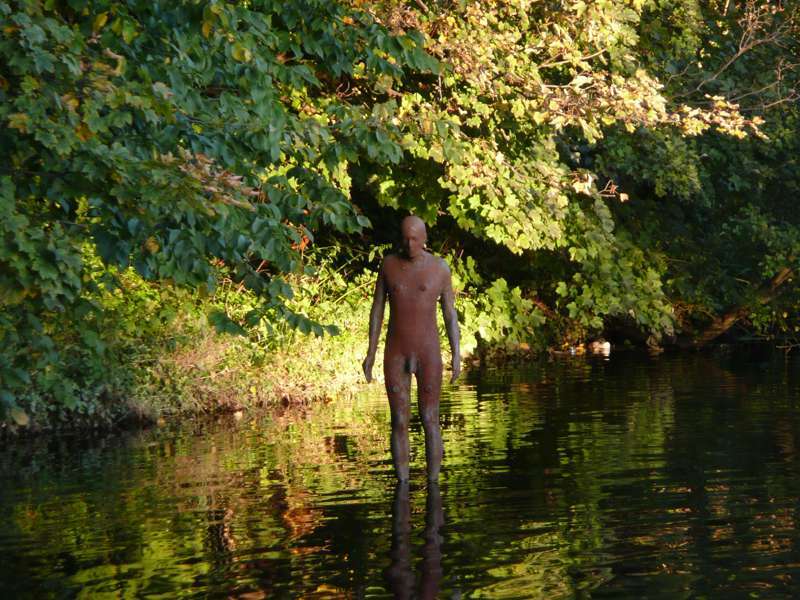 The Water of Leith is Edinburgh's river. 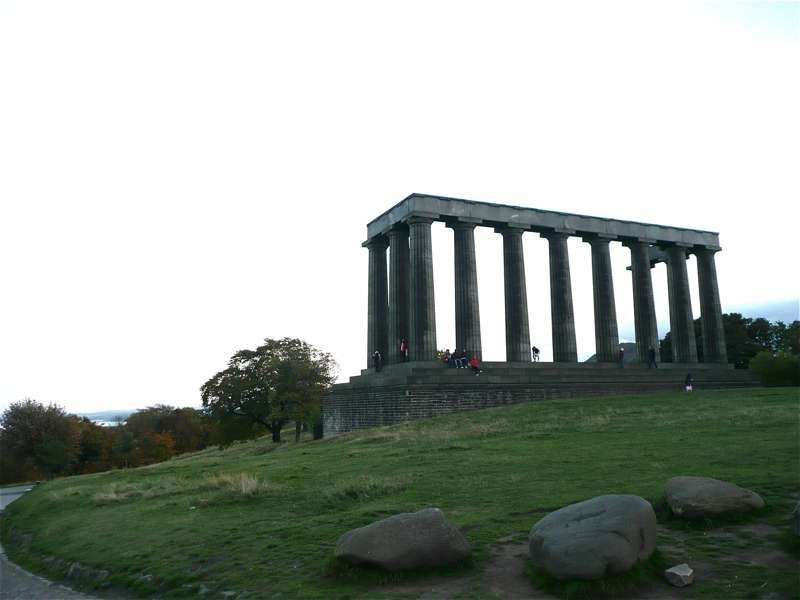 edinburgh, city of edinburgh, scotland, uk, guide, destination, travel, planet, uk, hotels, bars, restaurants, places, offers, united kingdom, midlothian at Edinburgh, From great budget hostels and self-catering apartments, to city centre family-run hotels and boutique B&Bs, Edinburgh has a place to stay to suit you – expertly chosen by Cool Places.